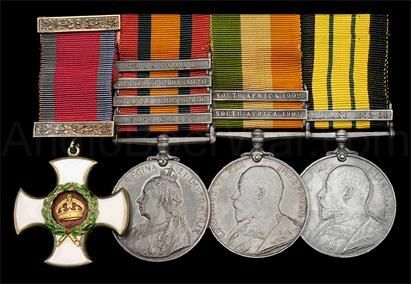 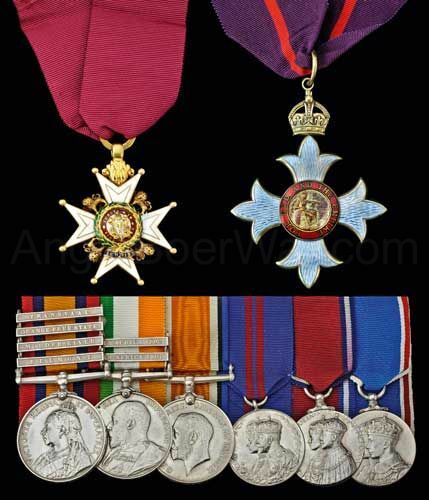 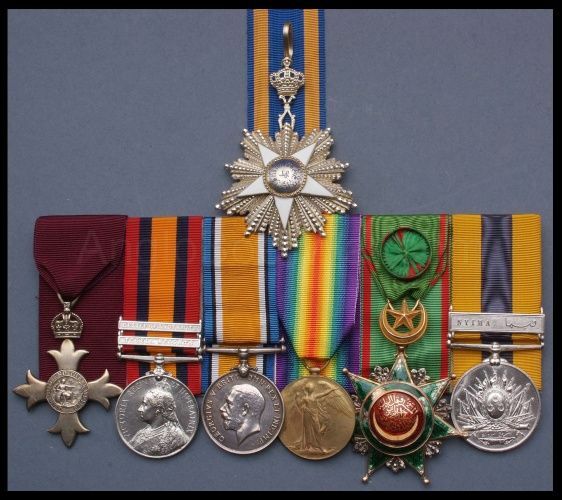 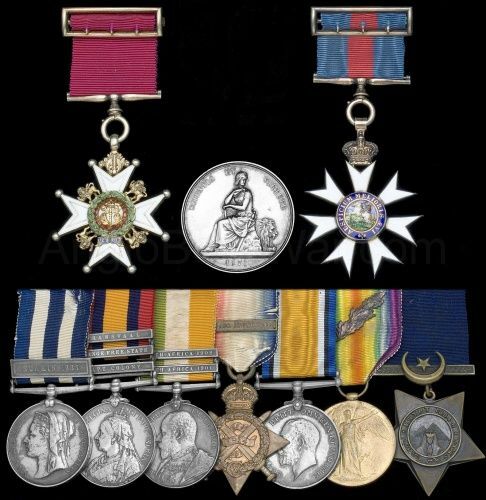 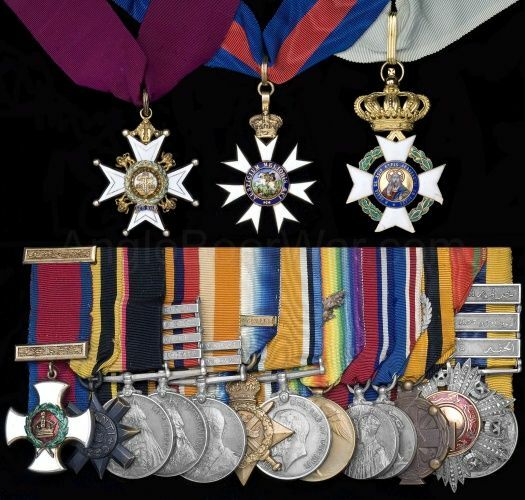 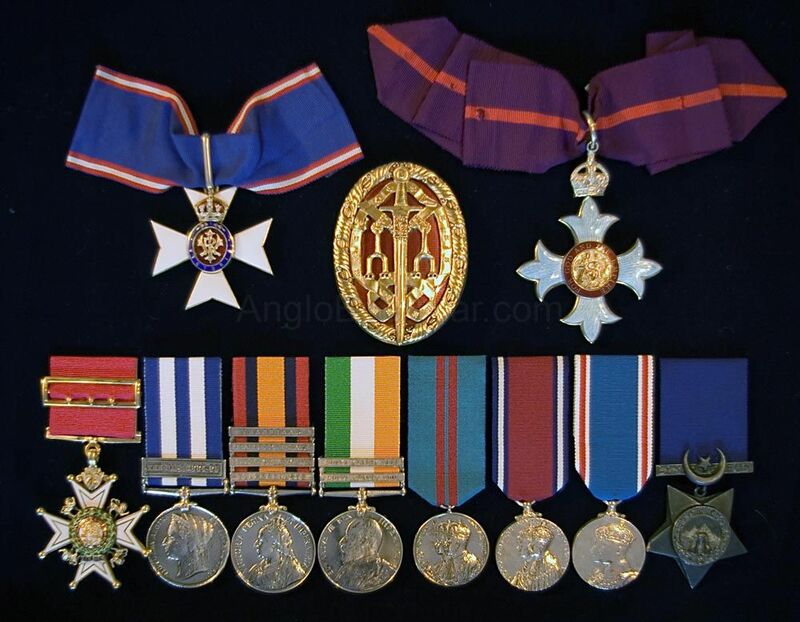 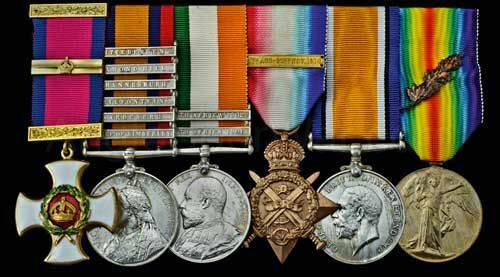 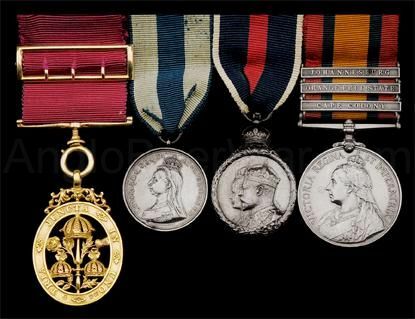 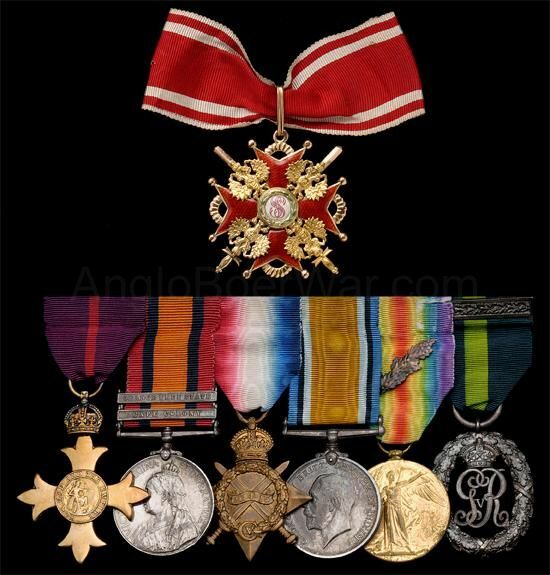 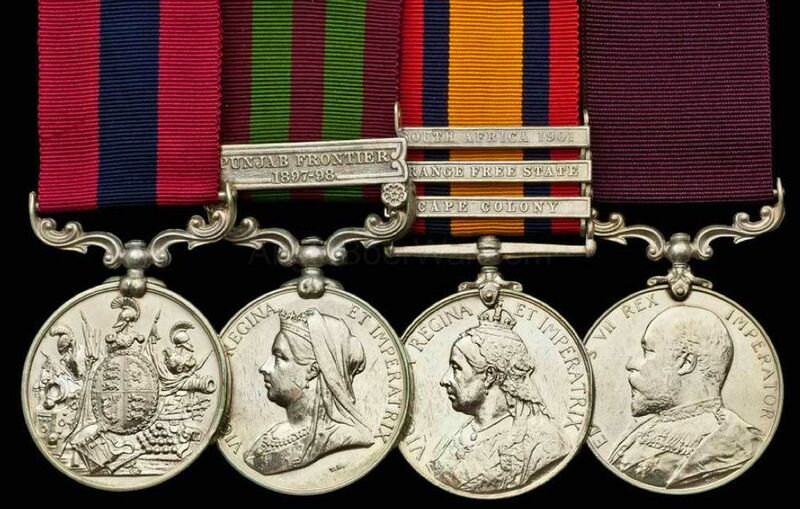 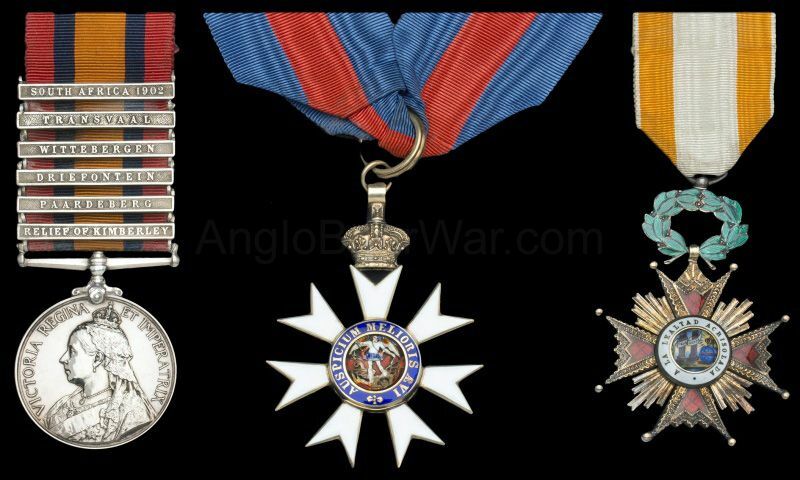 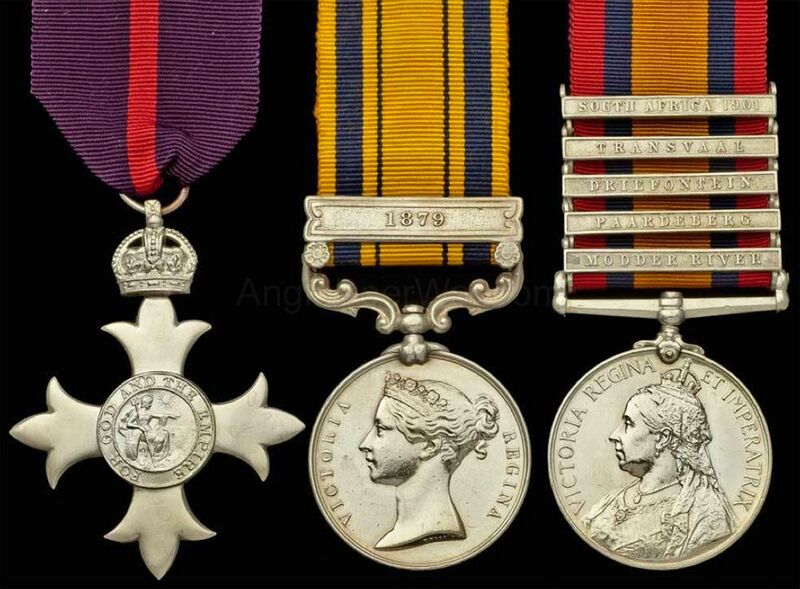 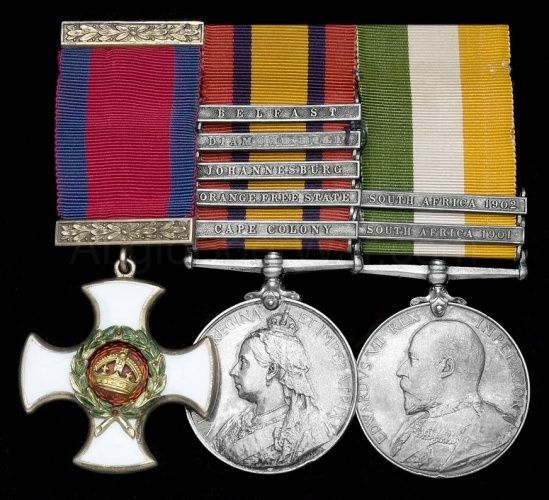 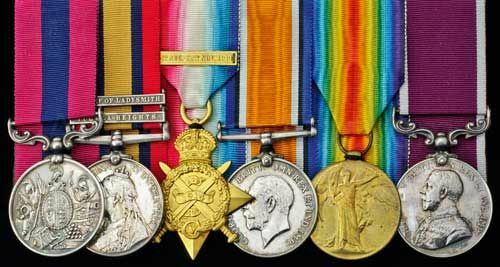 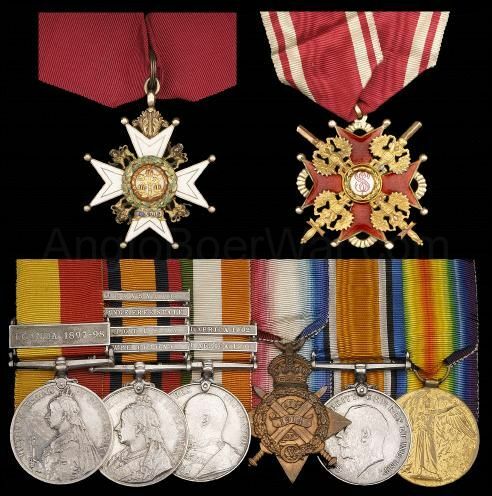 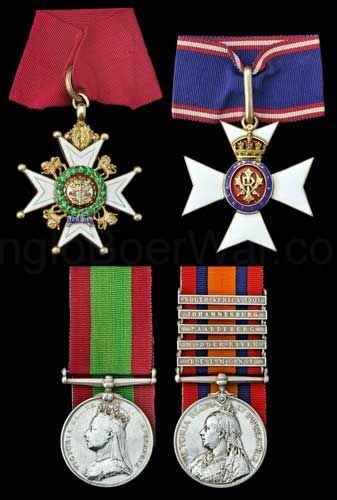 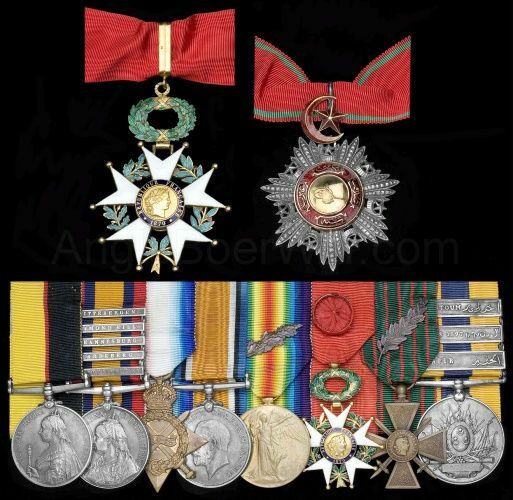 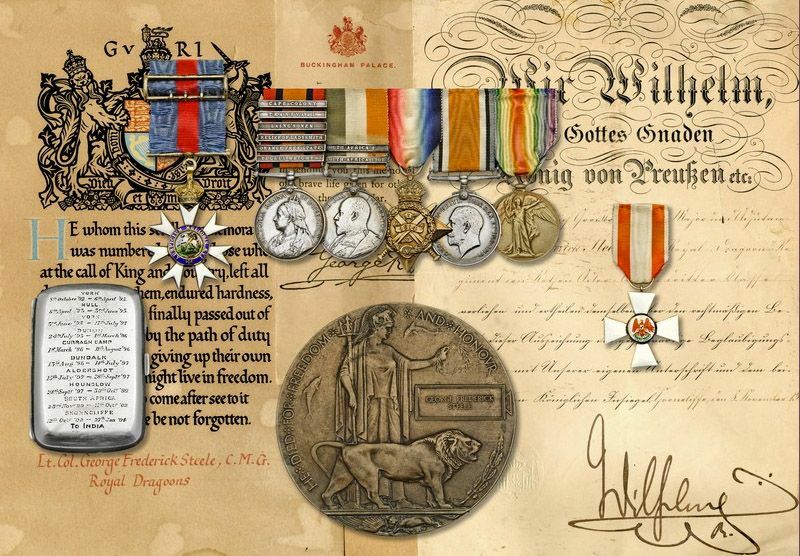 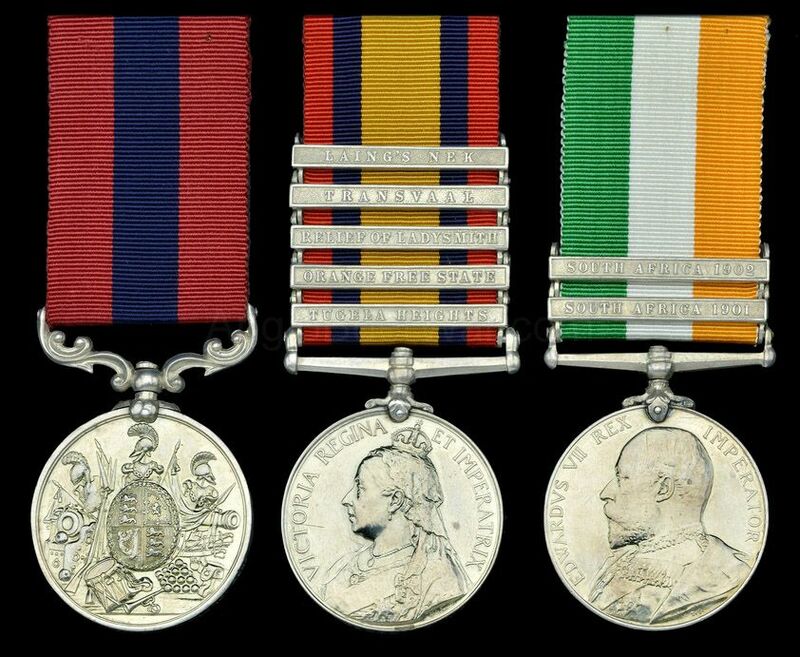 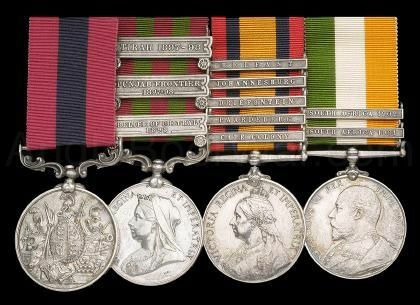 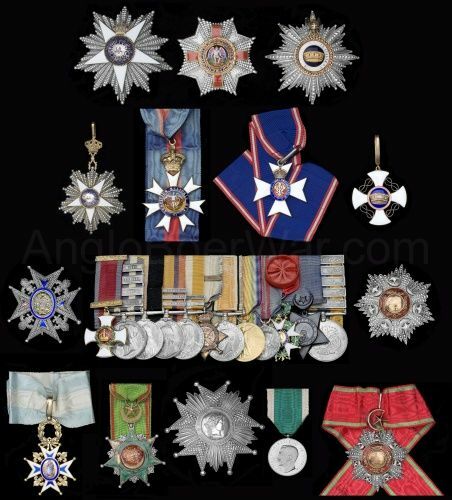 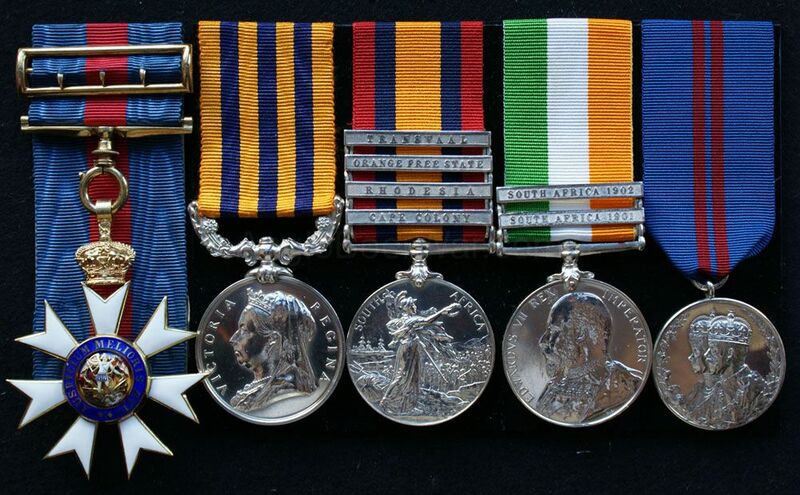 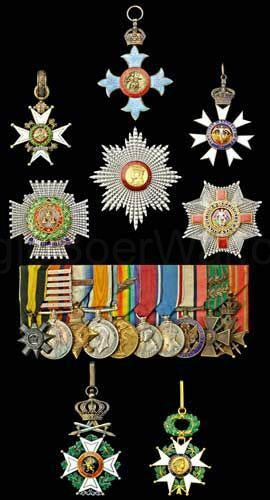 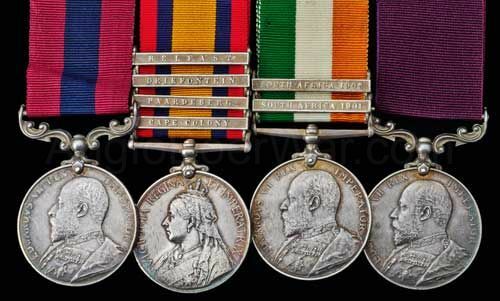 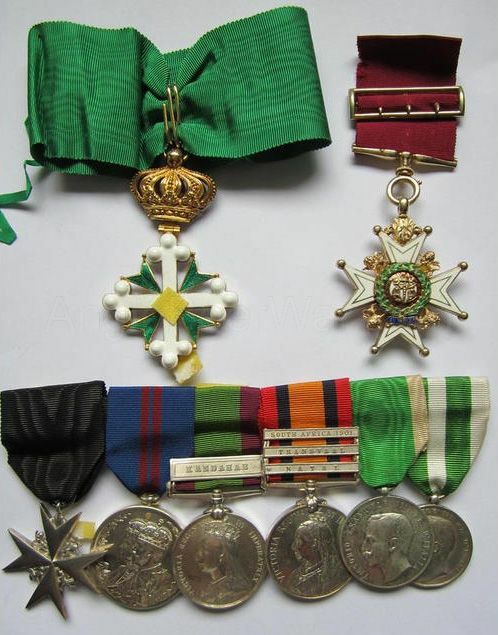 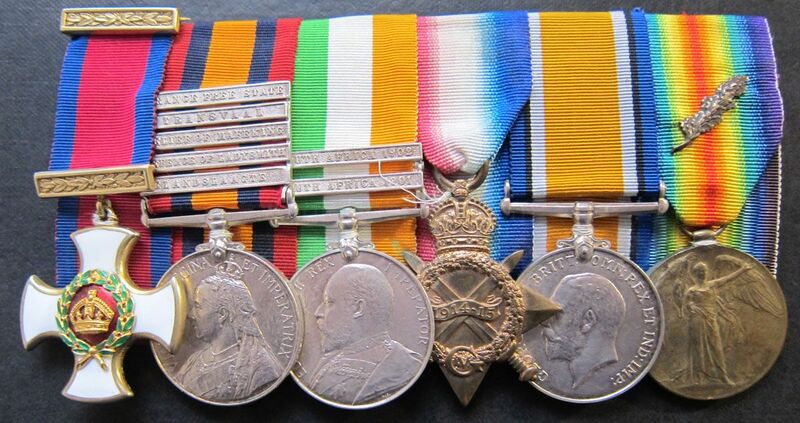 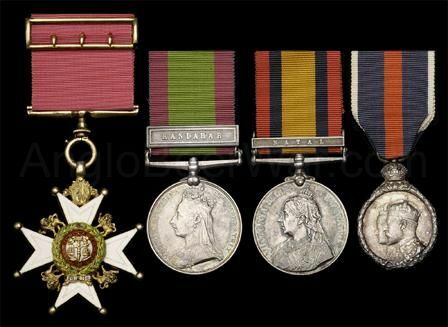 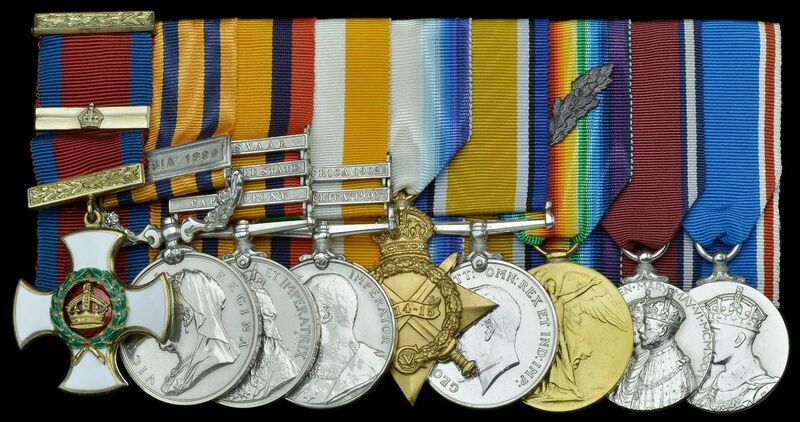 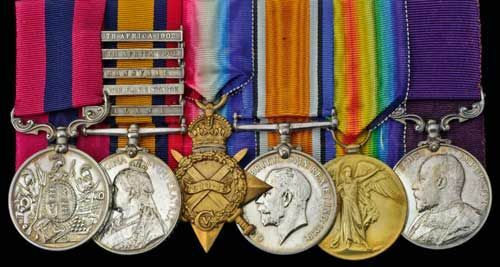 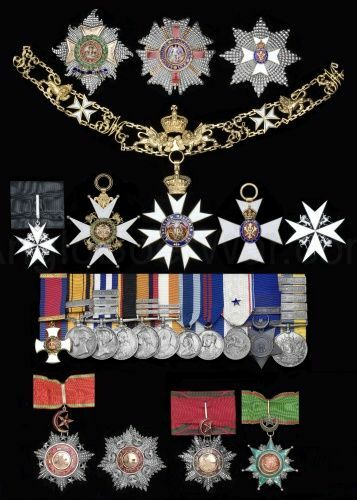 This page contains pictures of QSAs with honours and awards. 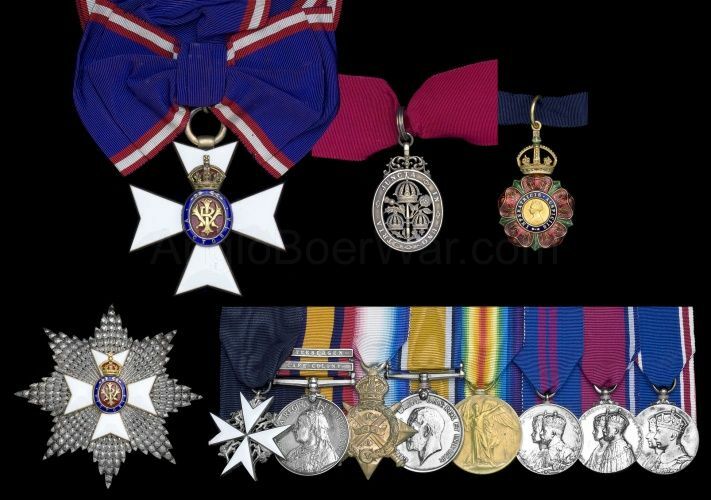 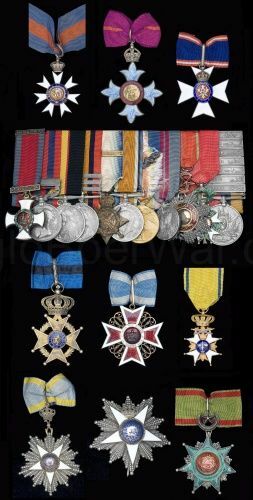 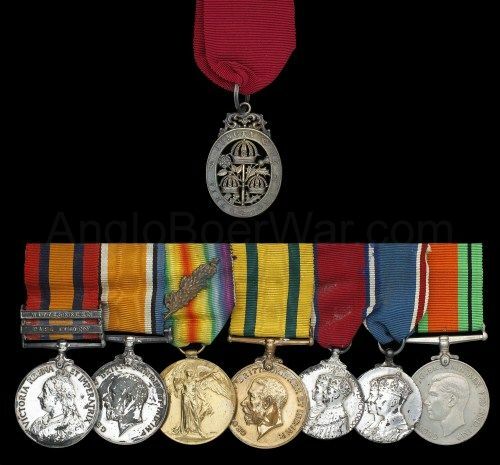 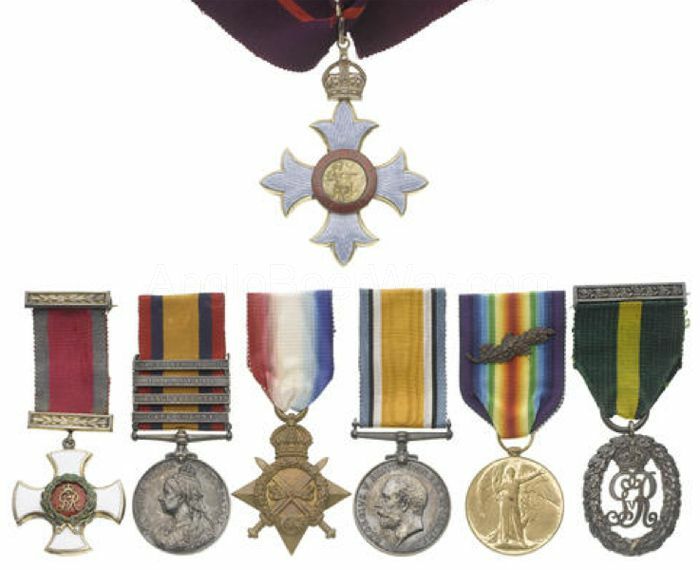 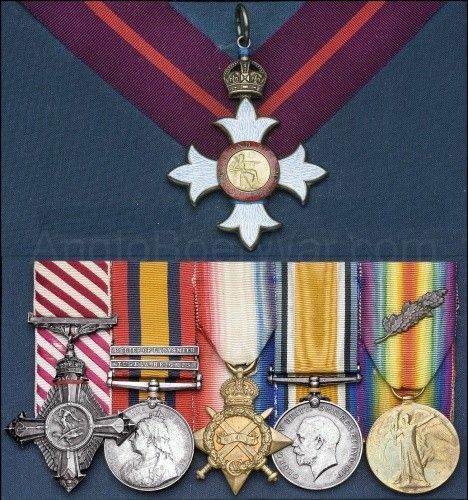 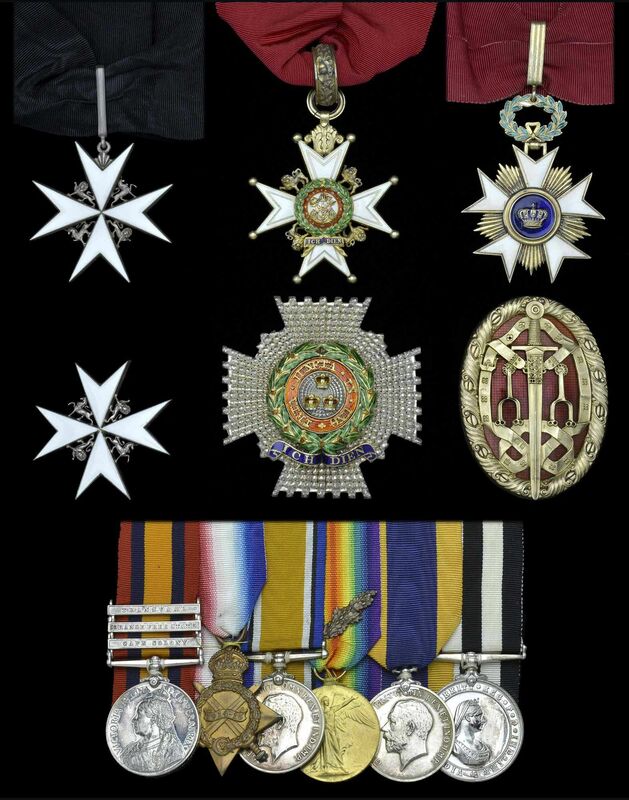 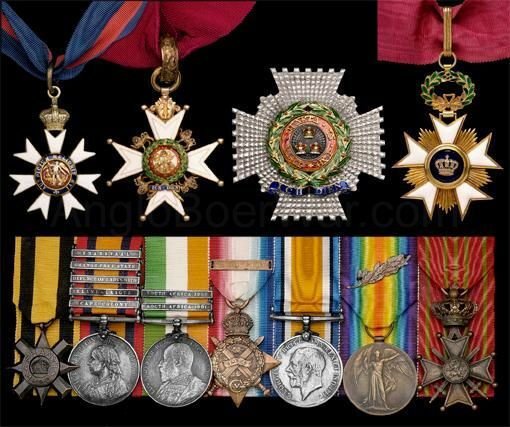 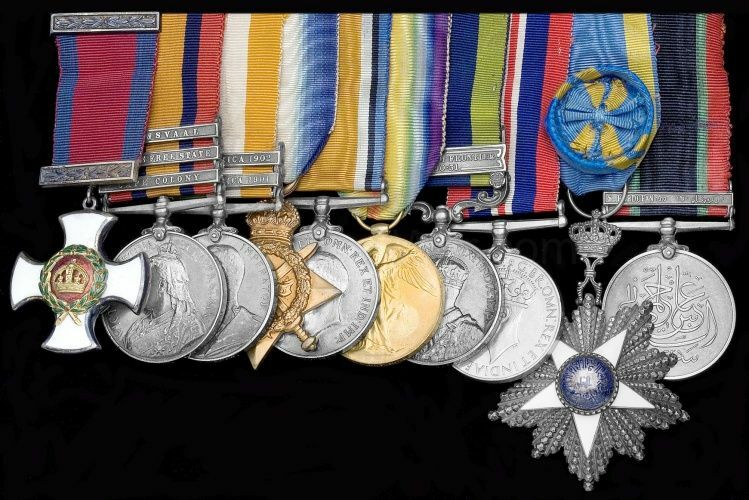 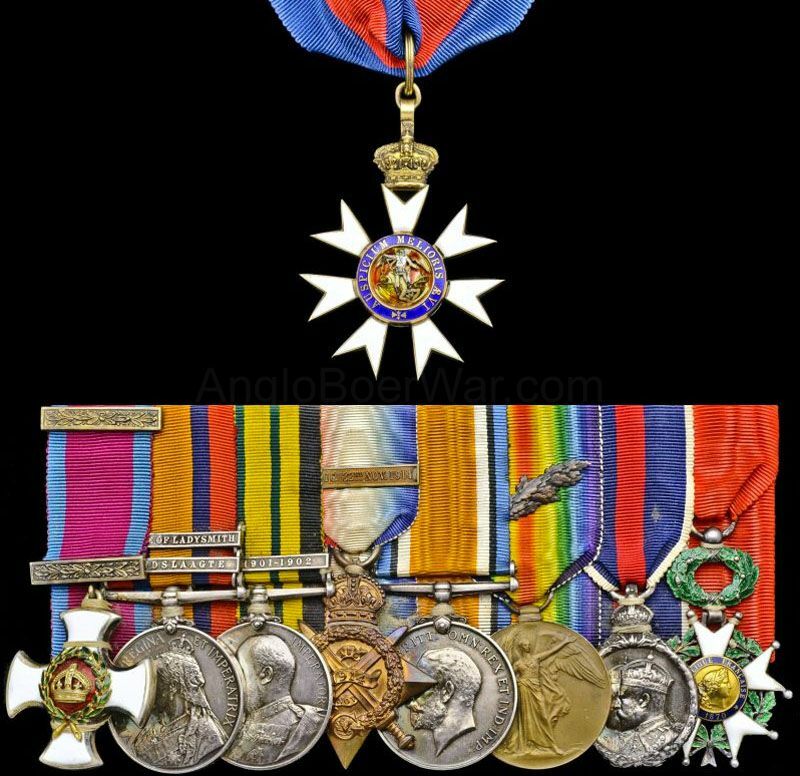 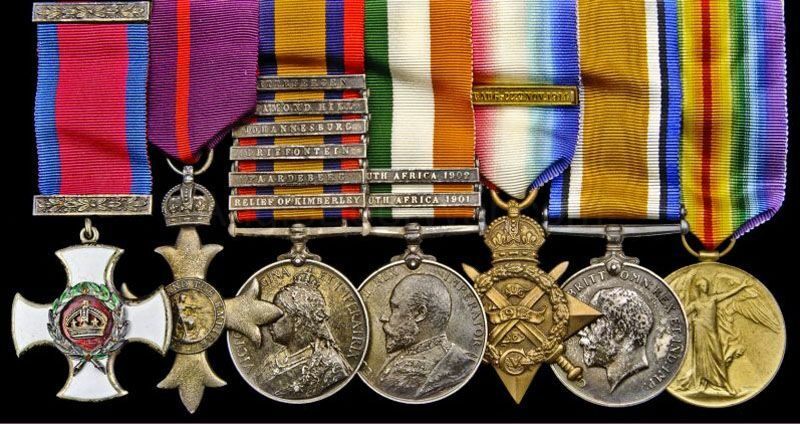 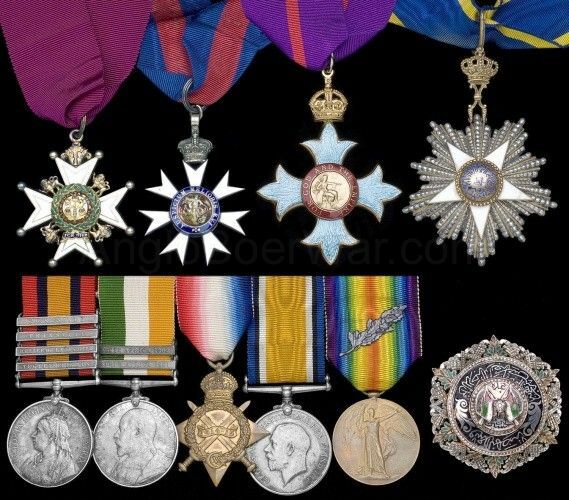 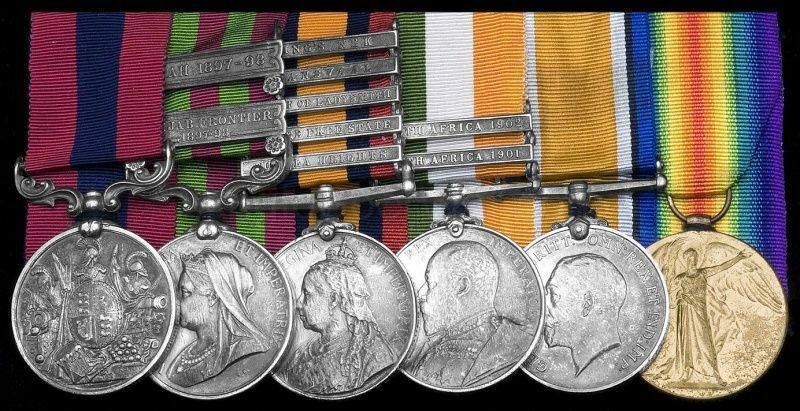 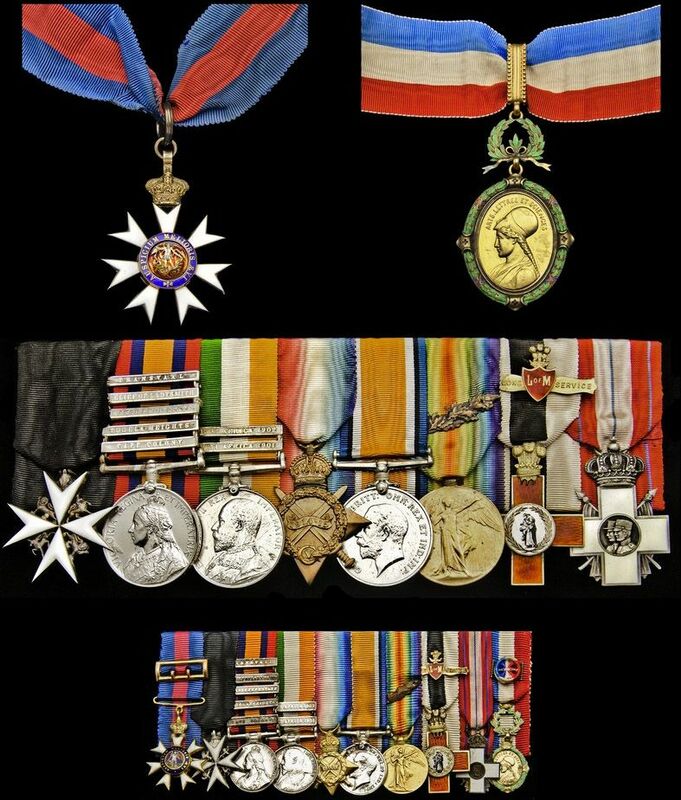 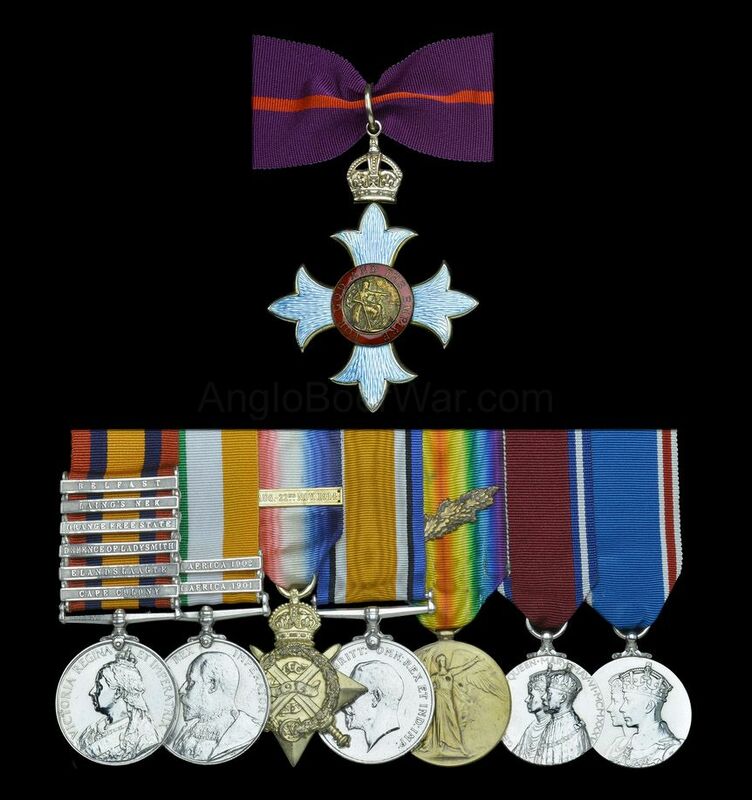 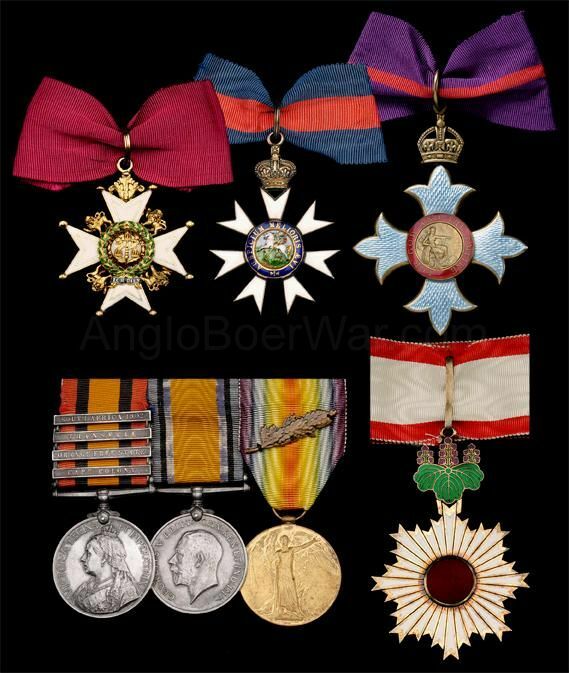 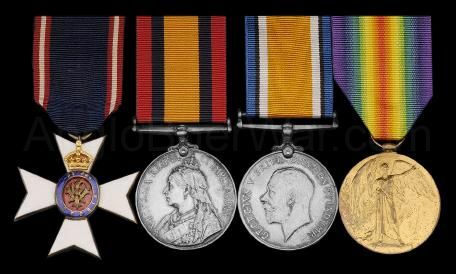 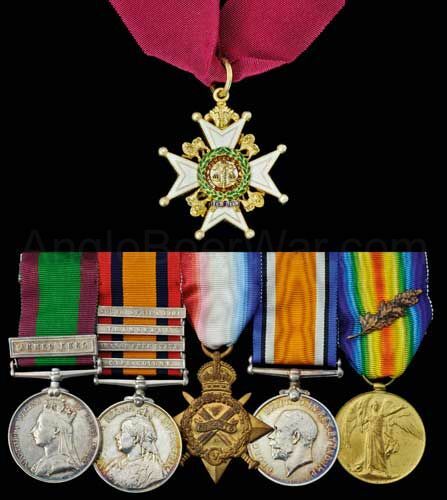 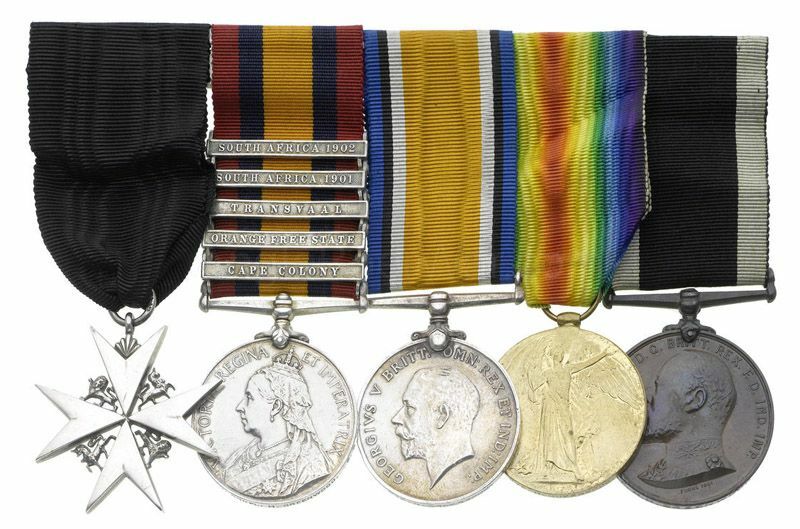 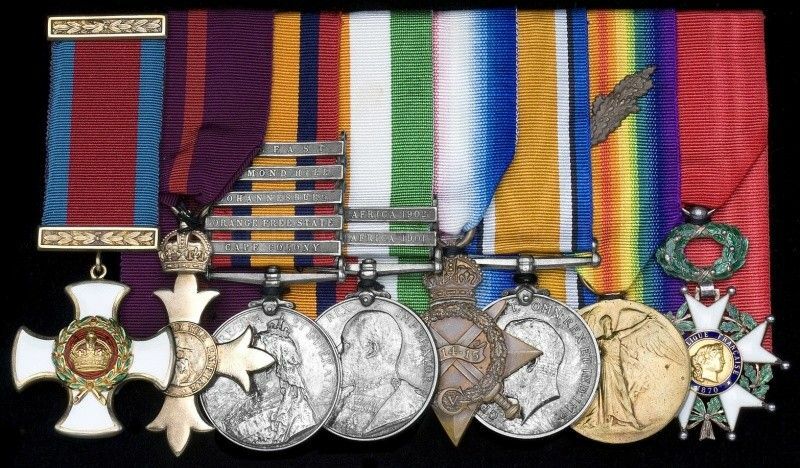 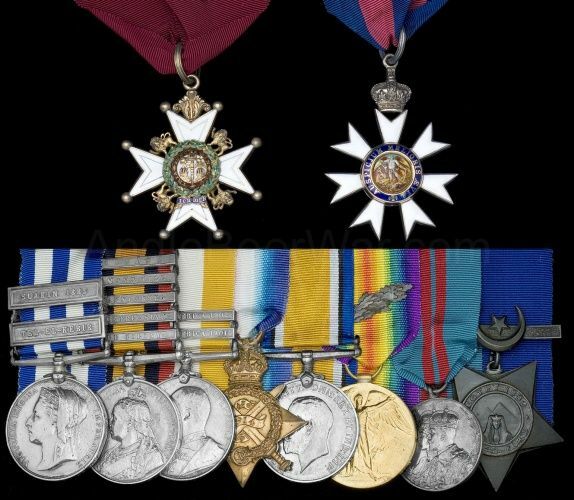 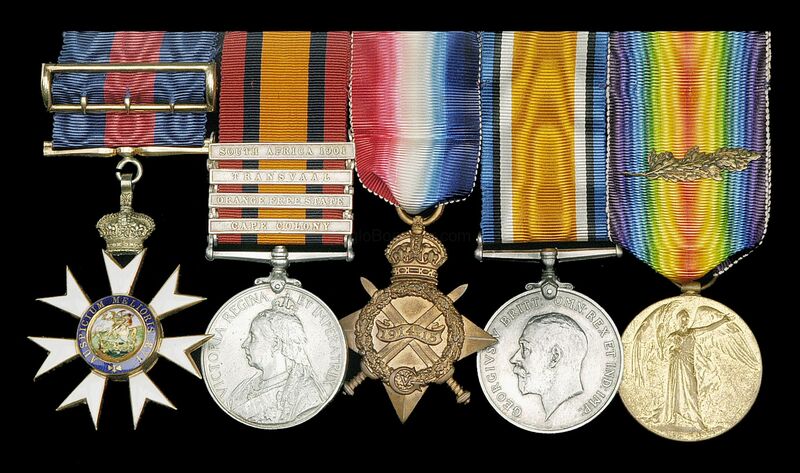 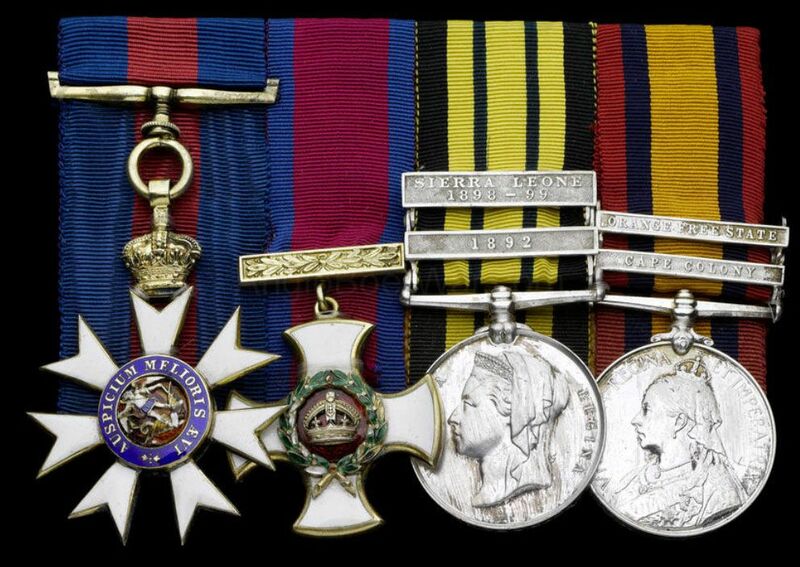 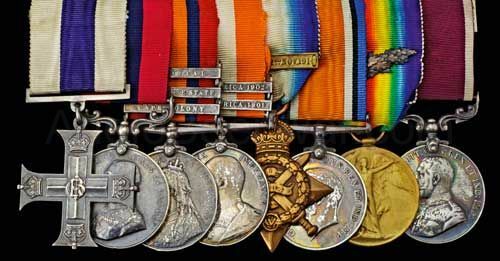 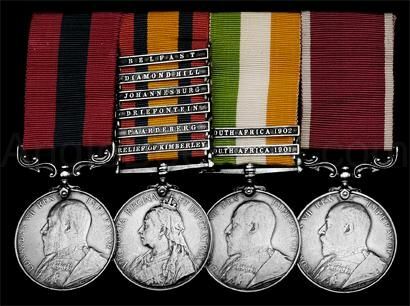 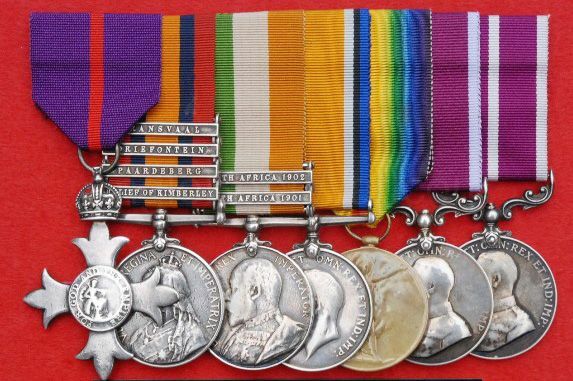 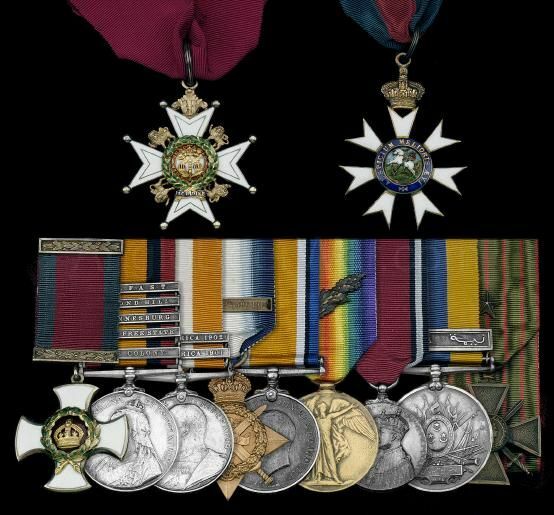 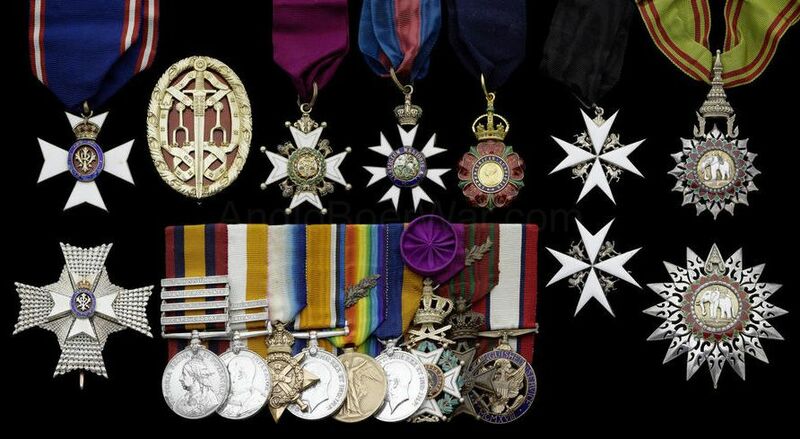 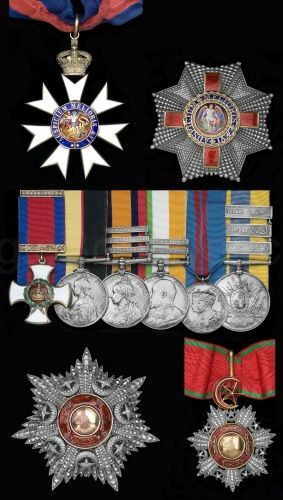 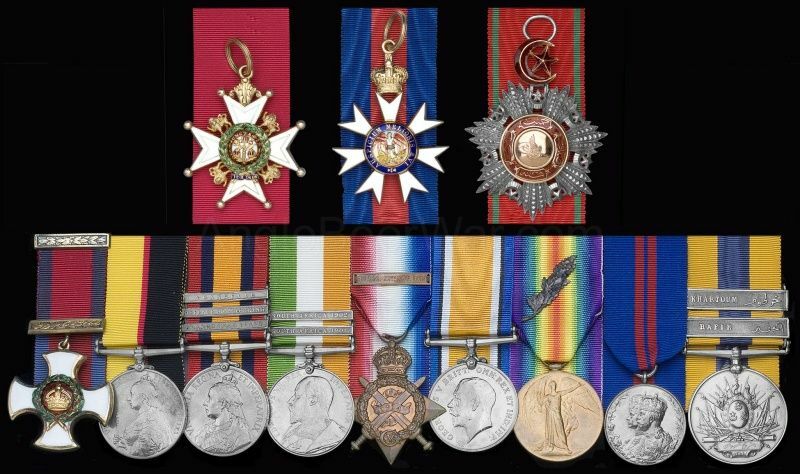 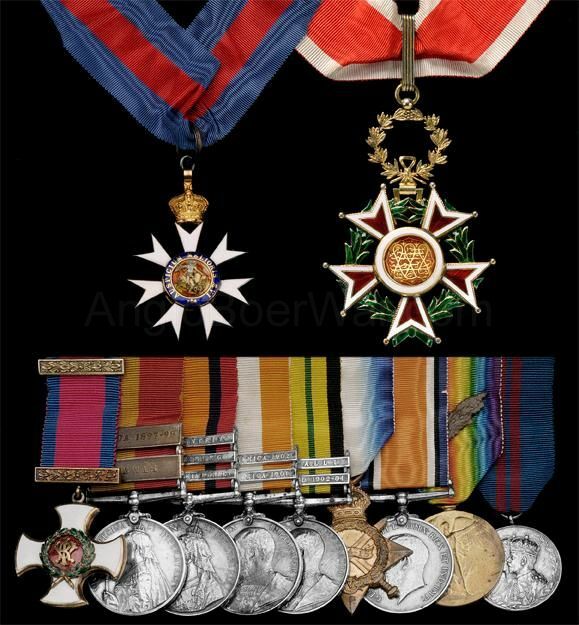 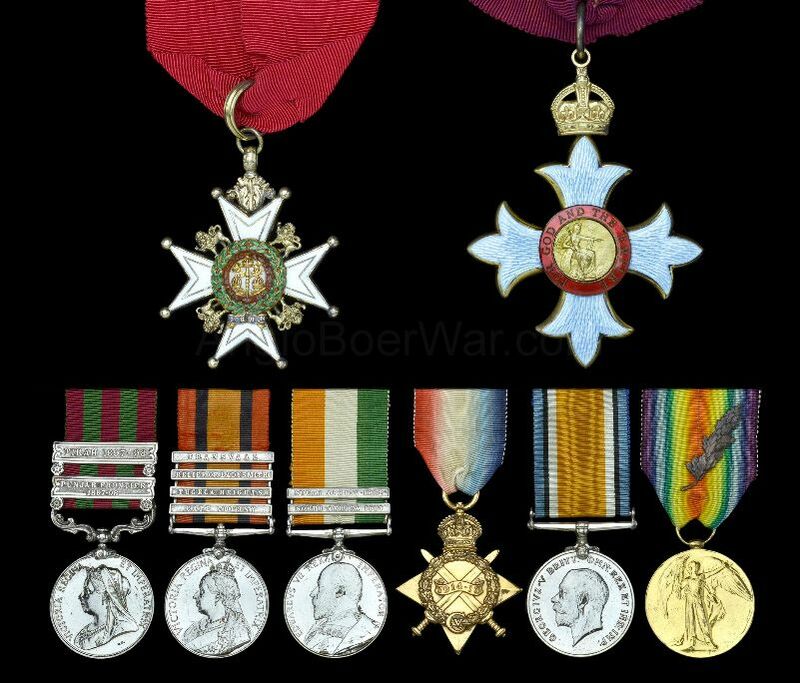 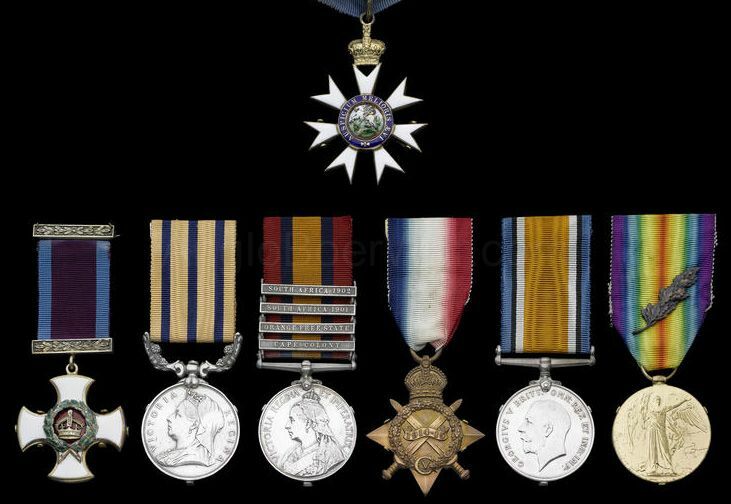 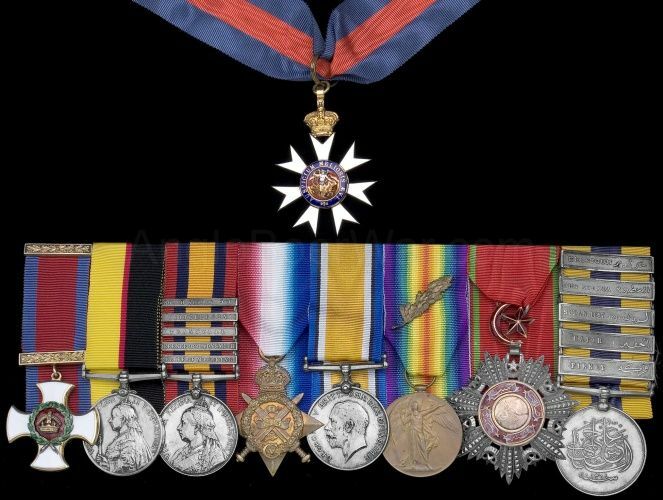 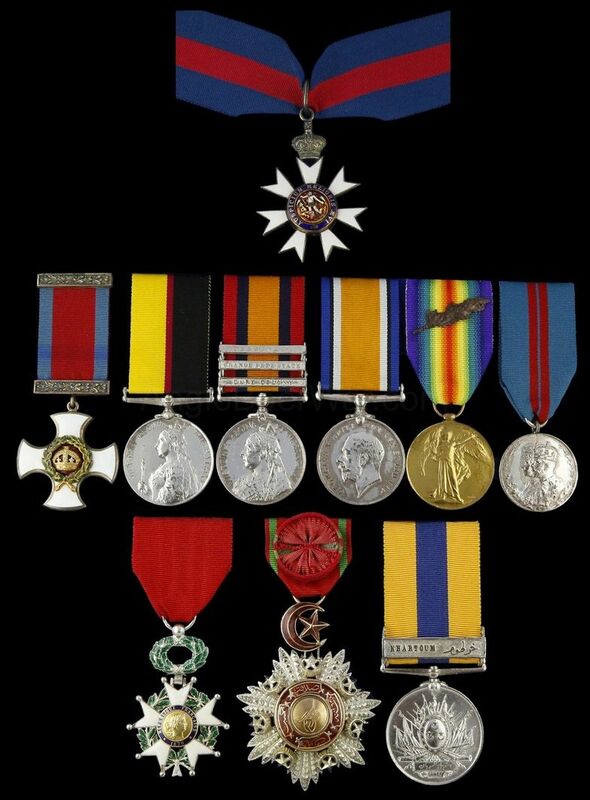 My thanks to DNW, Spink, Dixon's Medals, British Medals and Liverpool Medals for the permission to reproduce their images. 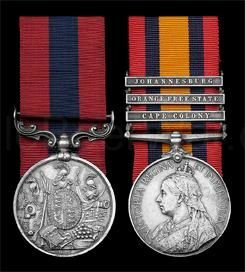 1894 DSO group to Surj Maj A H Morgan. 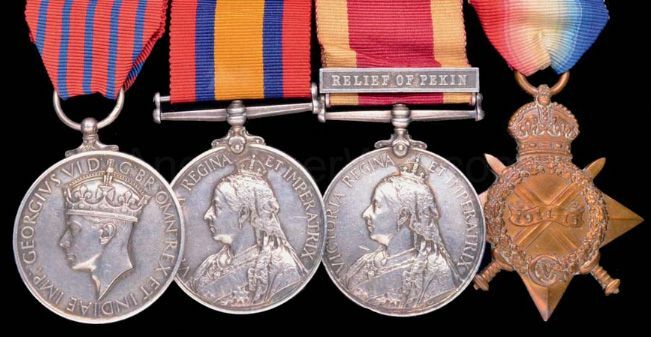 Bonham Oct 13. 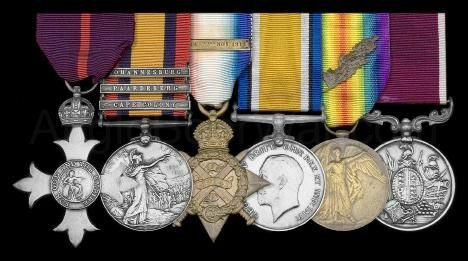 Great War CMG group to Lt Col W W Pope, RAMC. 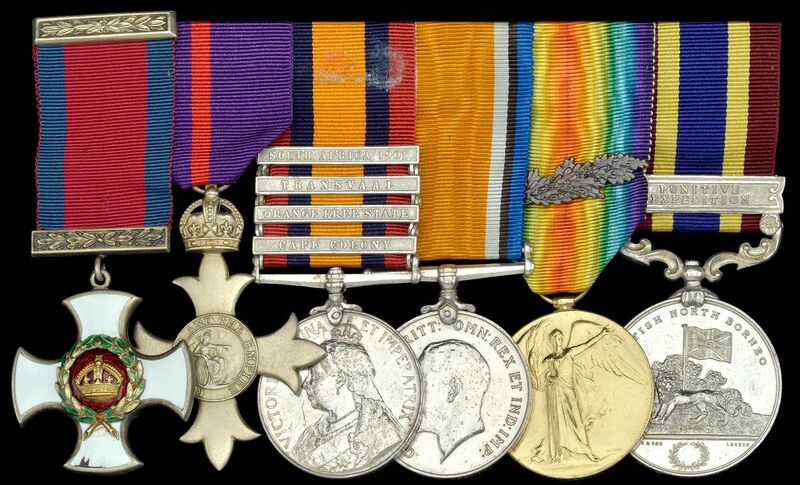 Bonhams Mar 14. 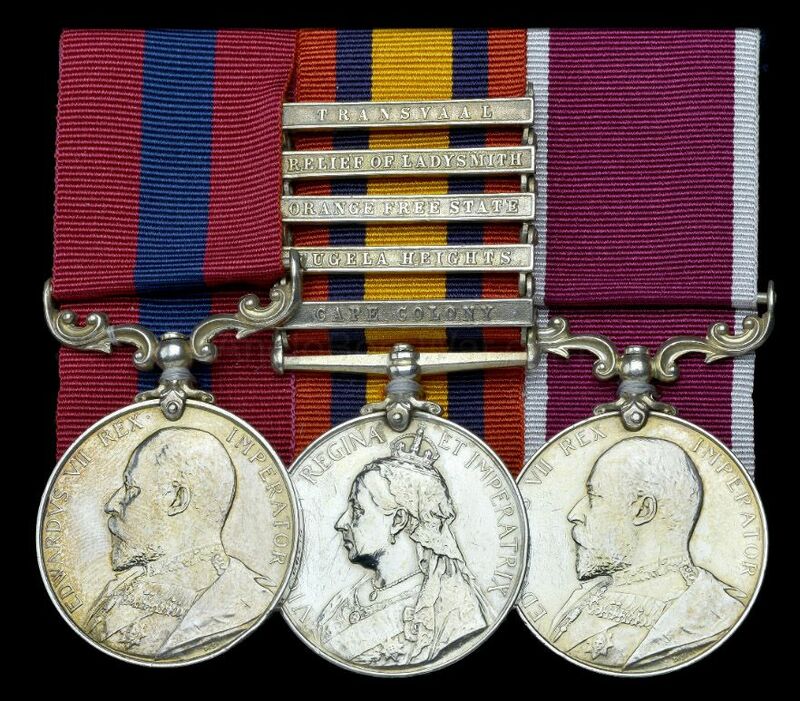 Boer War DCM to QMS C Preston, North Staffs. 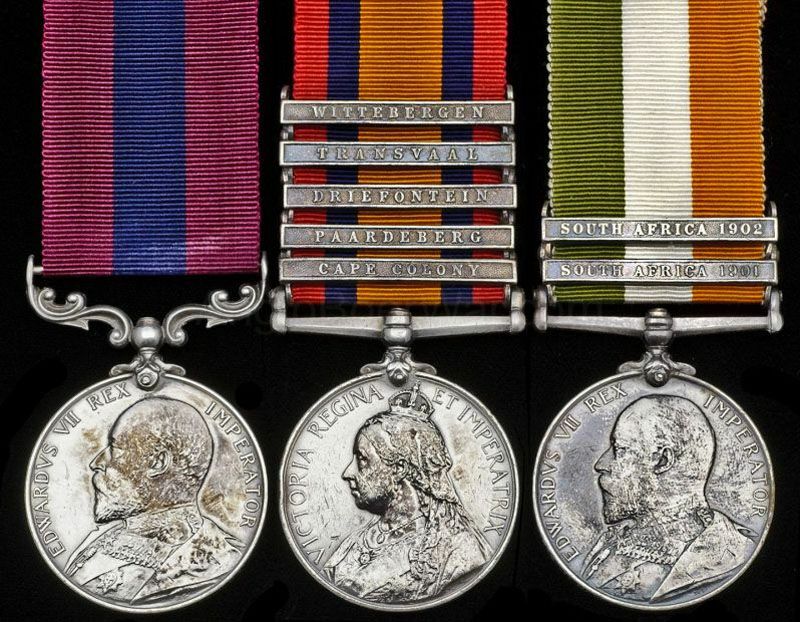 DNW, Nov 2015. 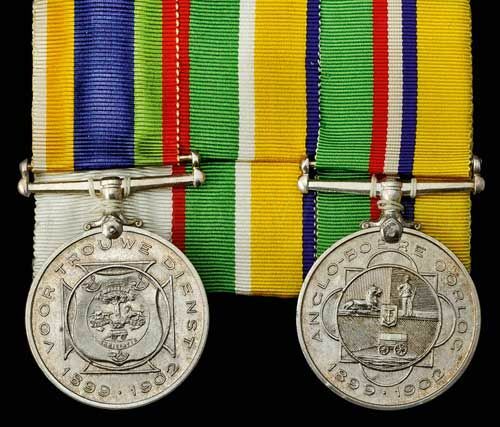 DCM to L/S A Scott. 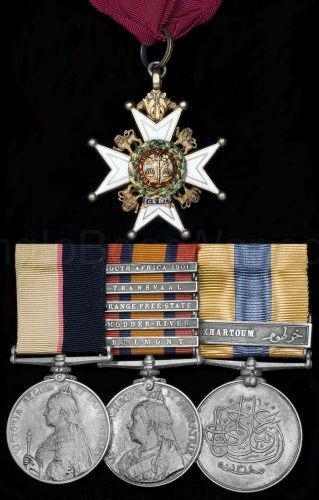 5th IY. 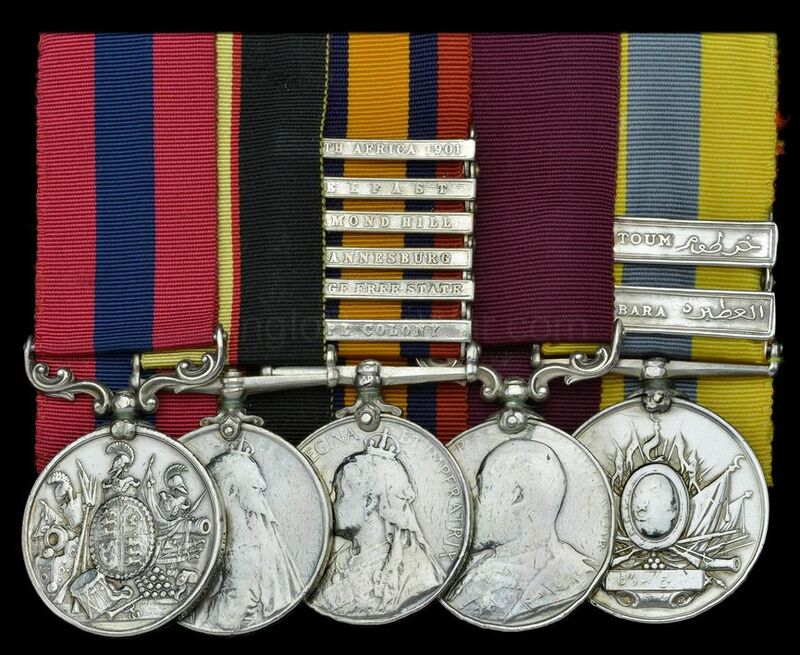 DNW Feb 16 Â£800. 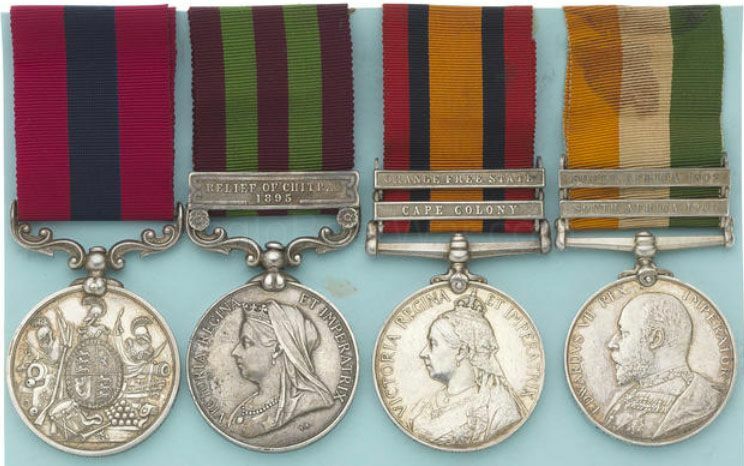 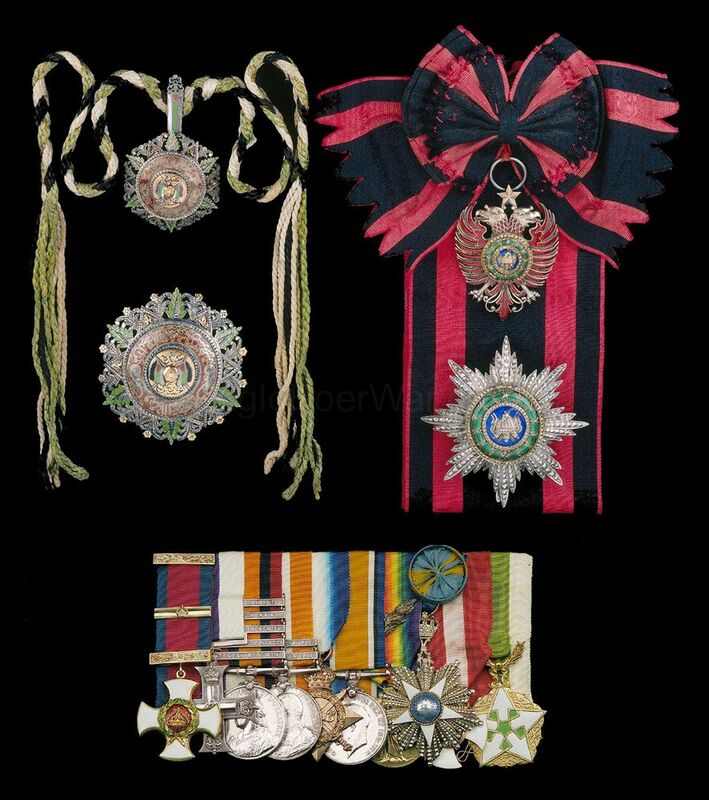 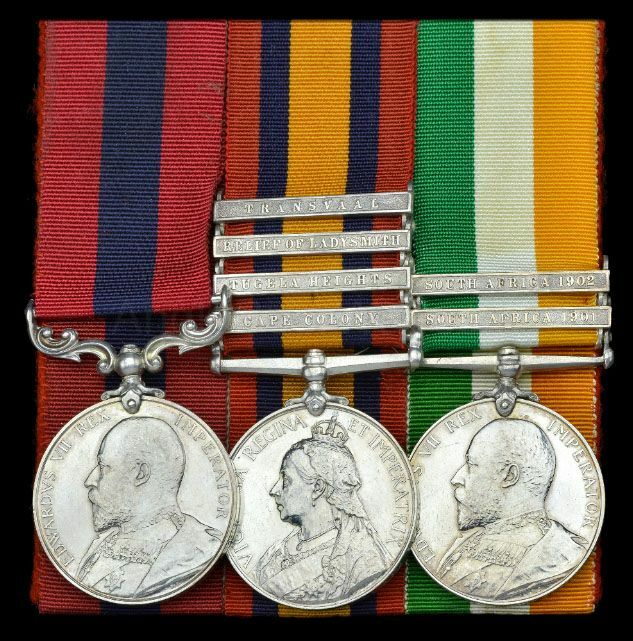 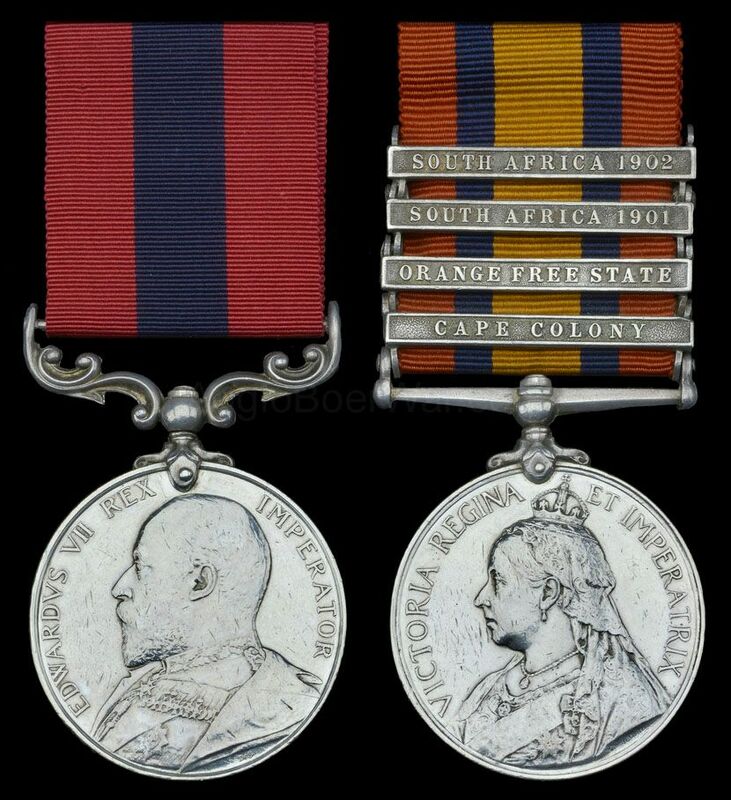 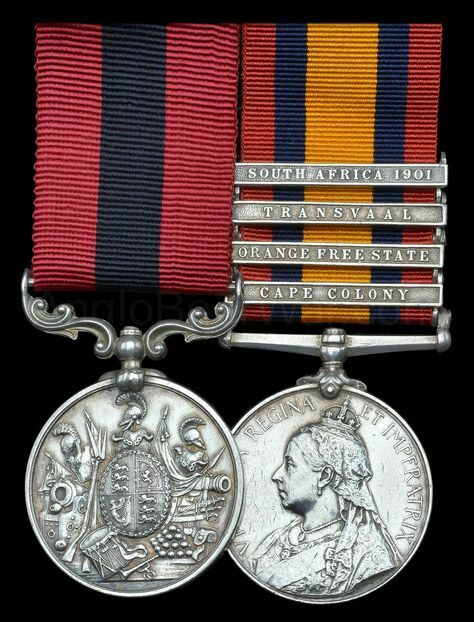 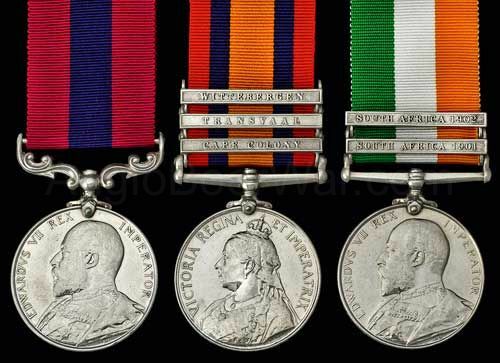 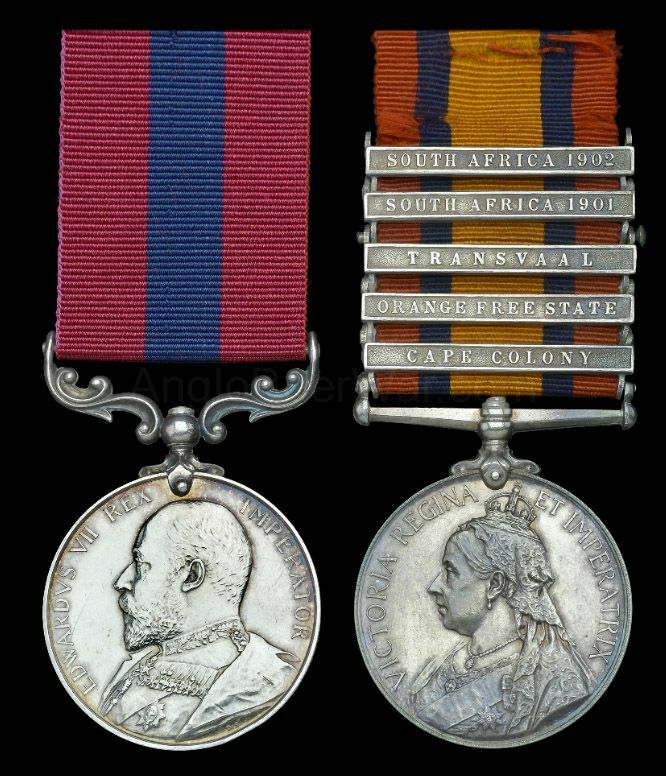 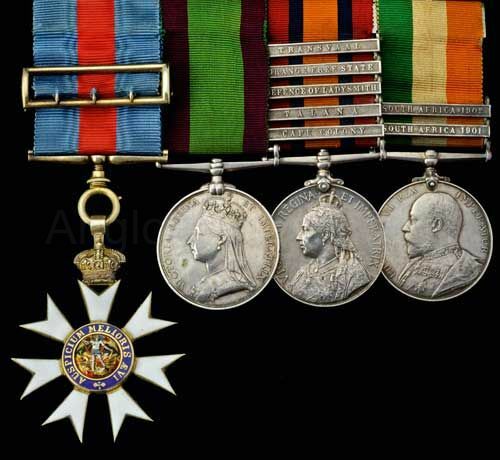 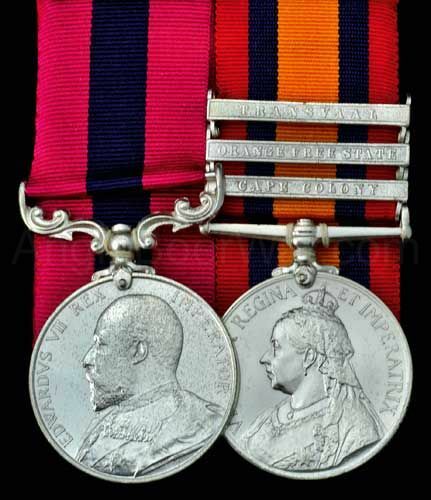 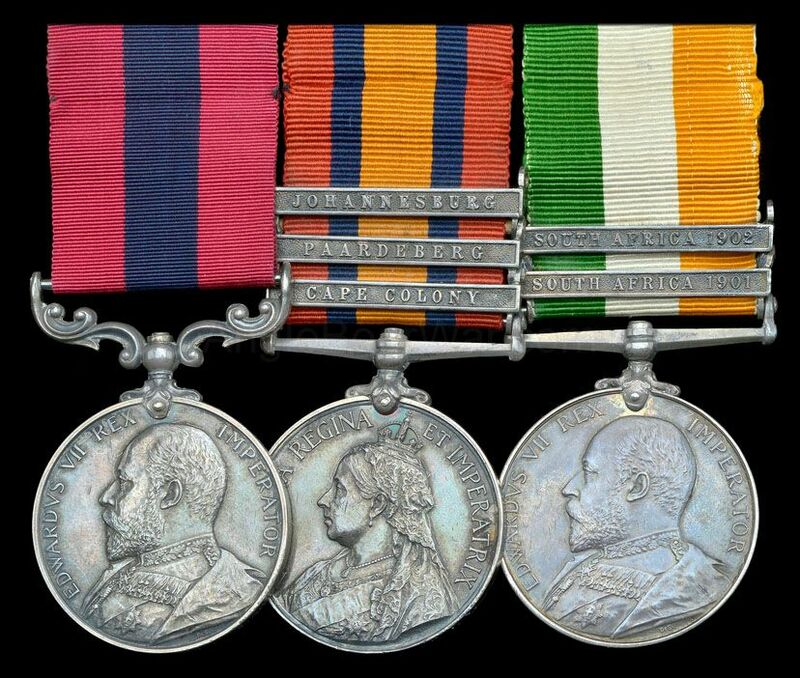 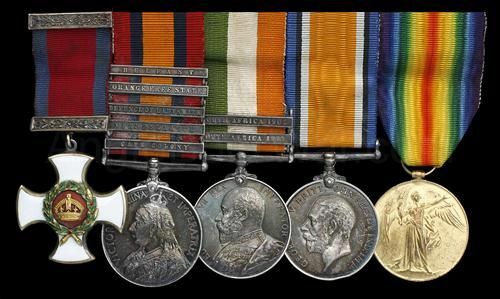 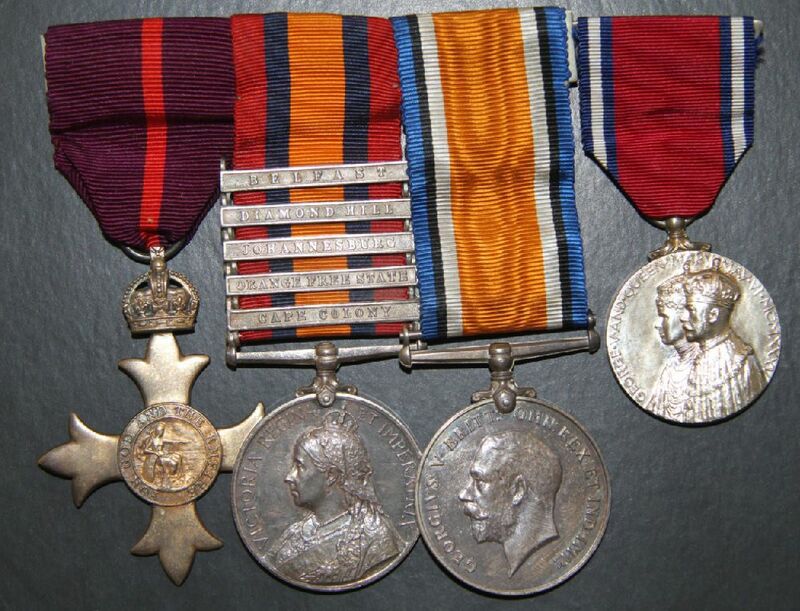 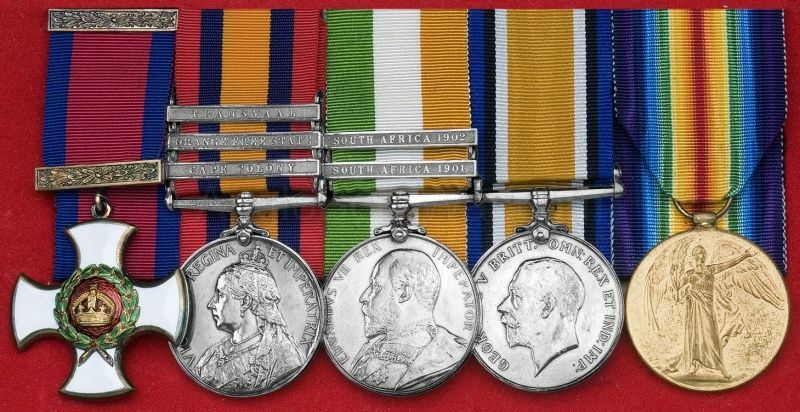 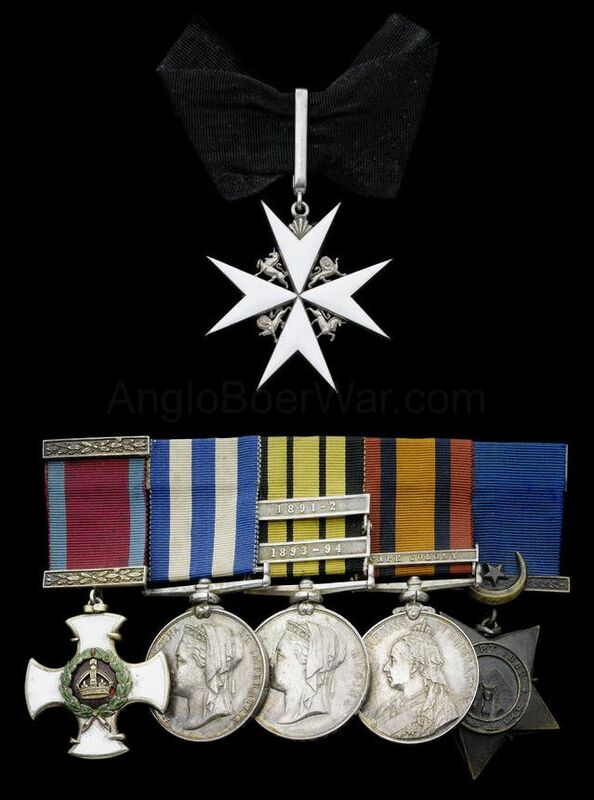 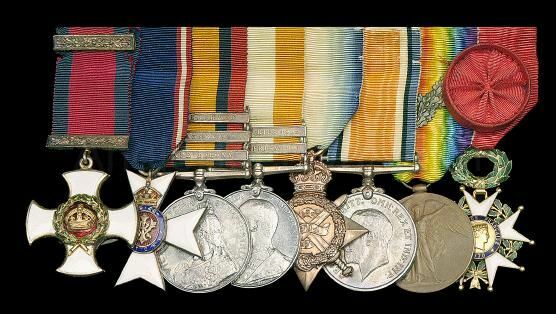 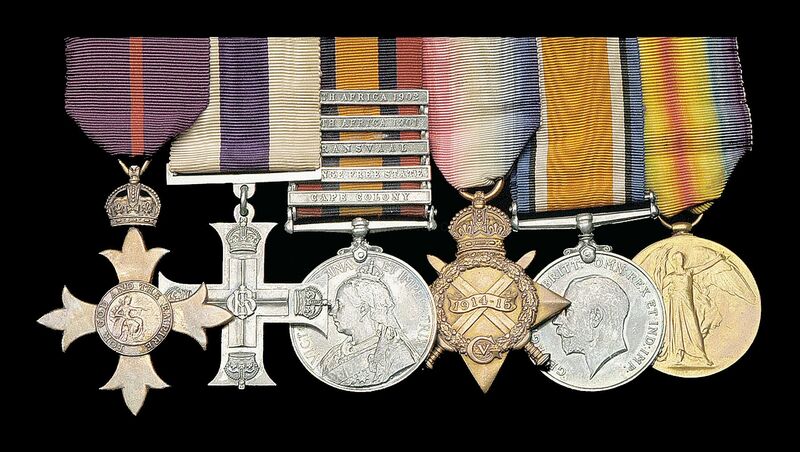 Boer War DSO to Lt Col A F Tarbet, SLR. 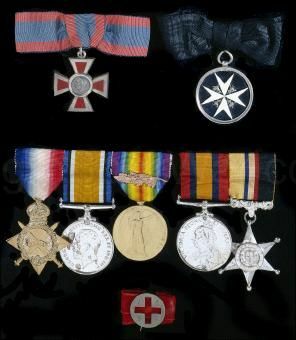 Bonhams Mar 14. 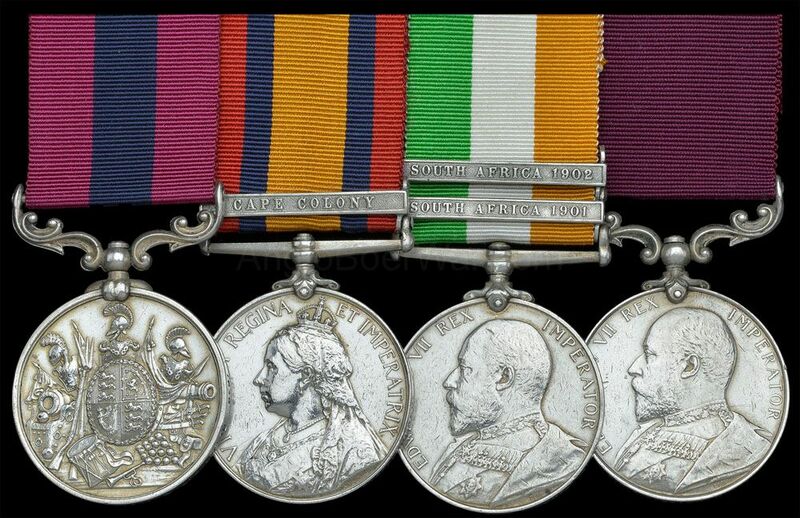 Boer War DCM group to Sgt W F Tobin, Royal Warwickshire Regt. 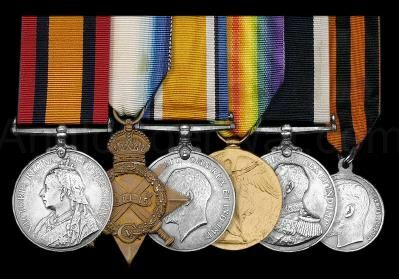 DNW July 17. 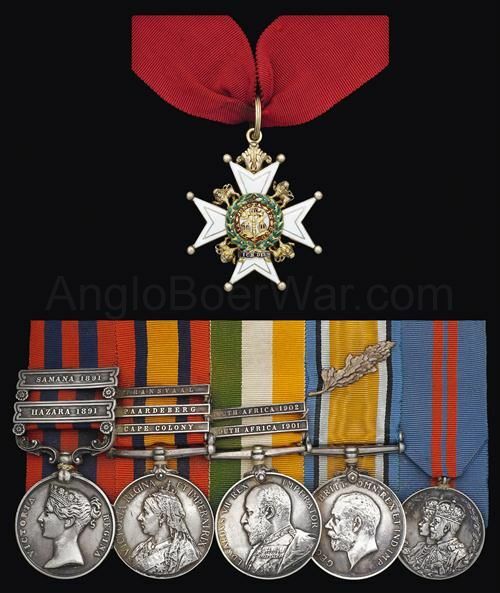 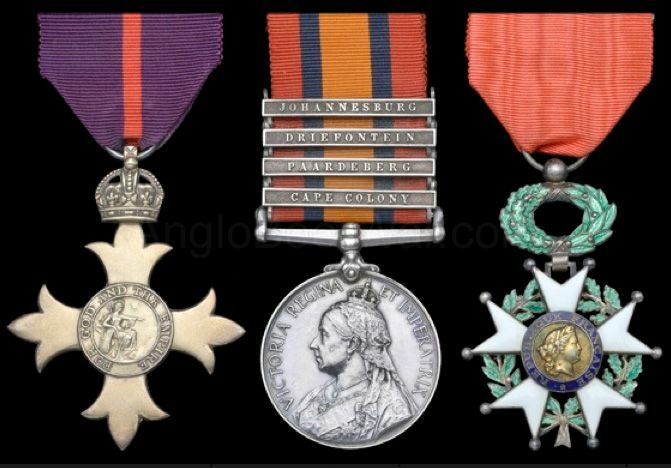 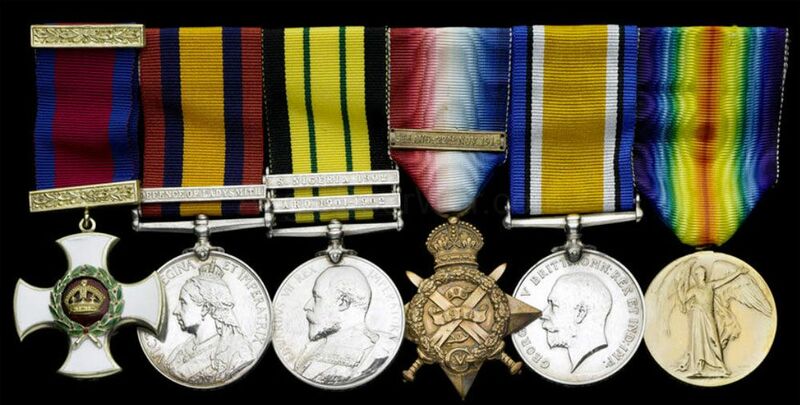 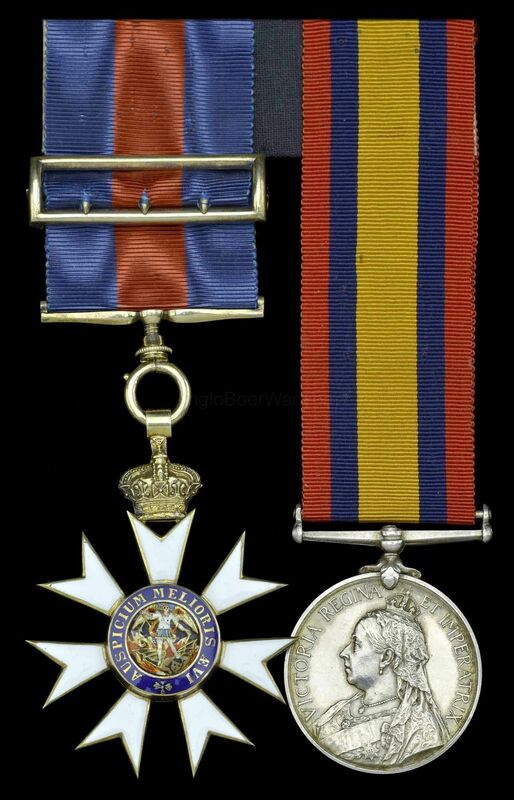 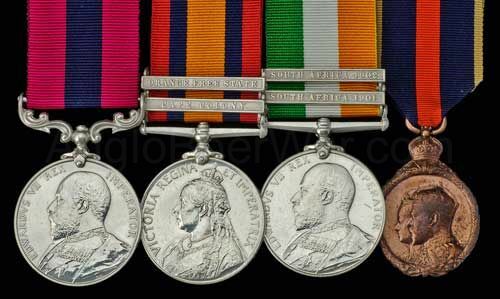 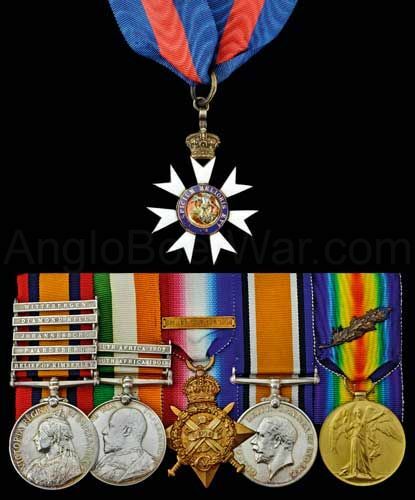 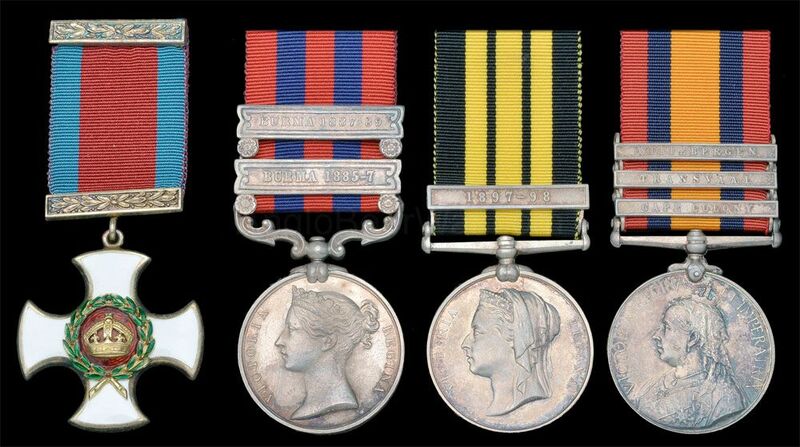 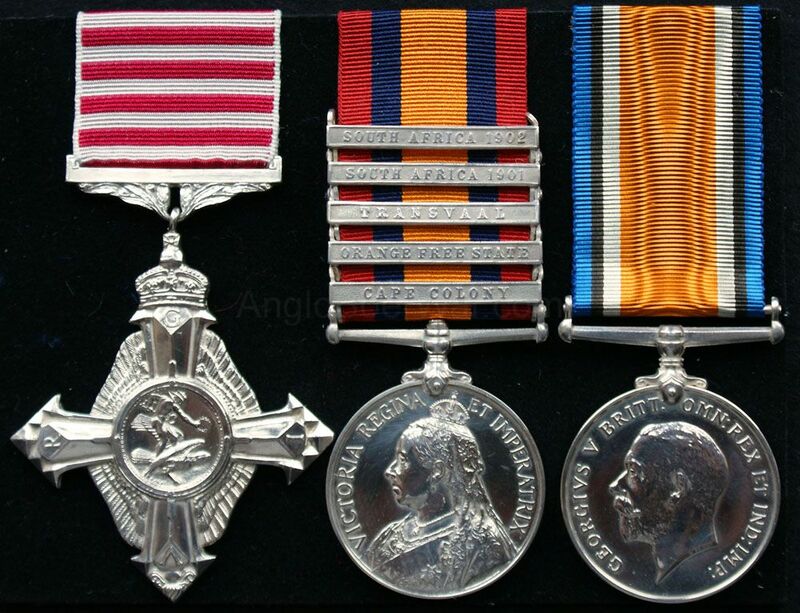 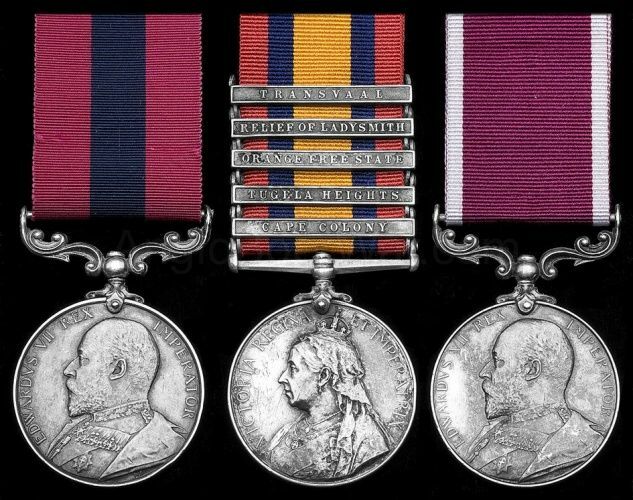 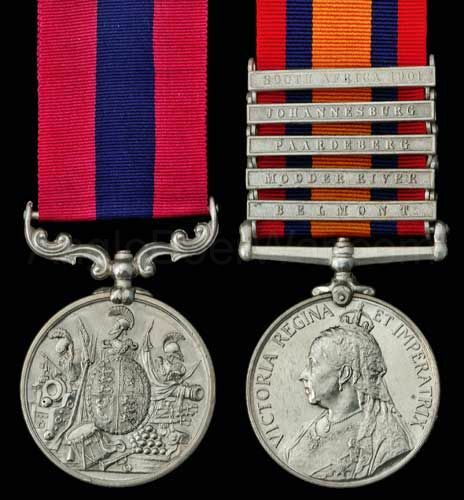 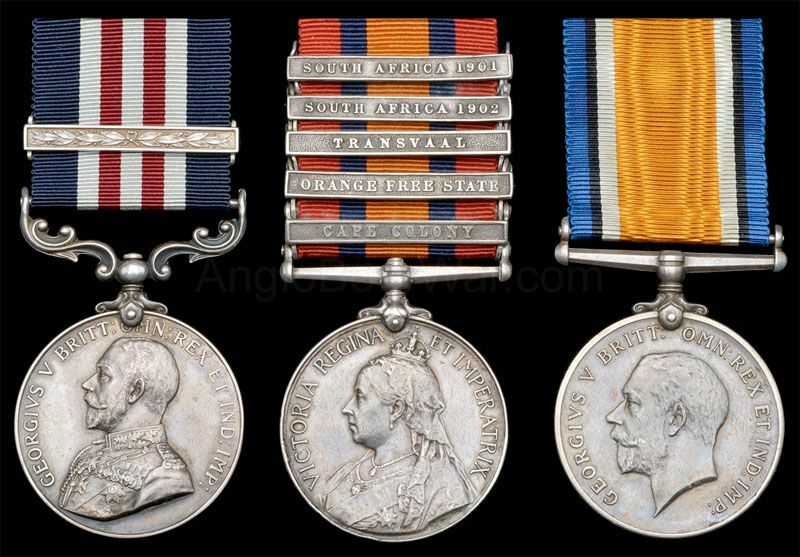 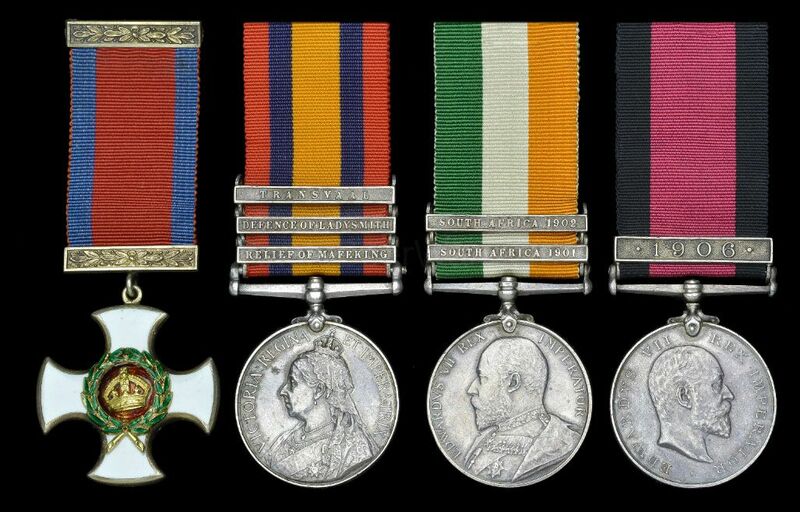 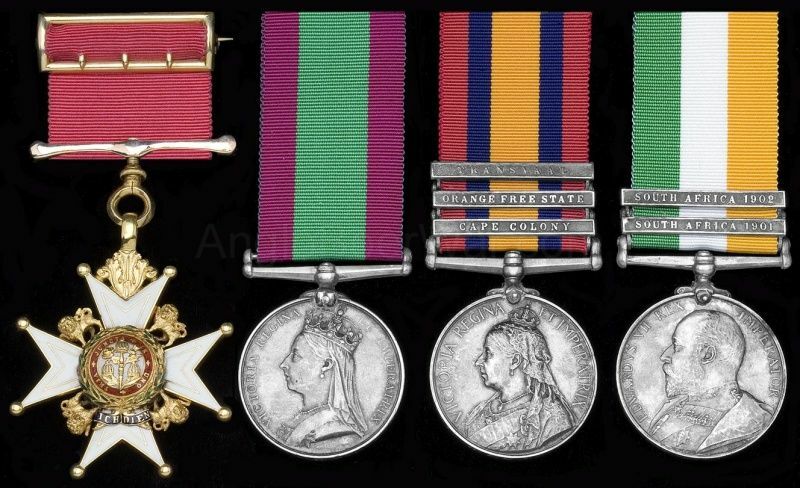 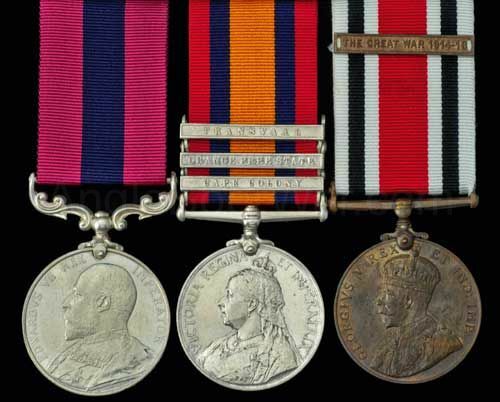 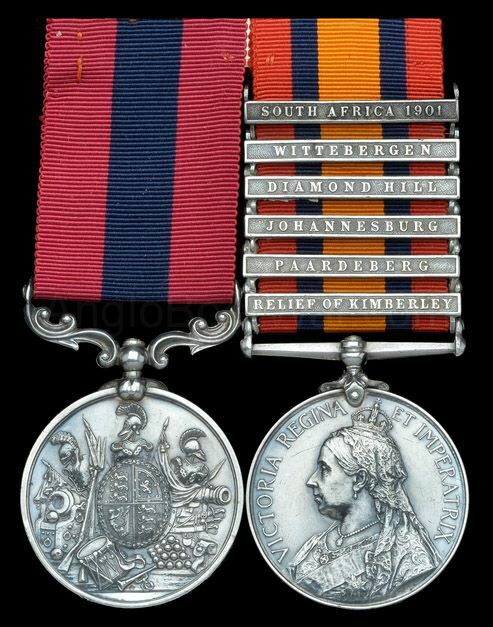 Boer War DCM group to 4145 Colour Sergeant G F Walker, LNLR. 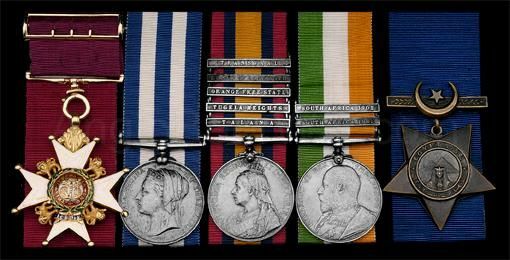 Baldwin's May 2016. 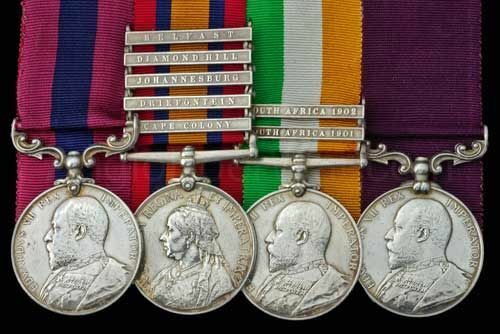 Boer War DSO group to Maj J A Warwick of Warwick's Scouts. 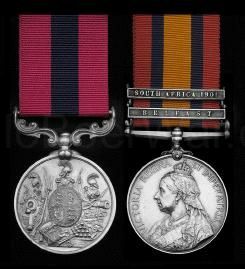 DNW May 2017. 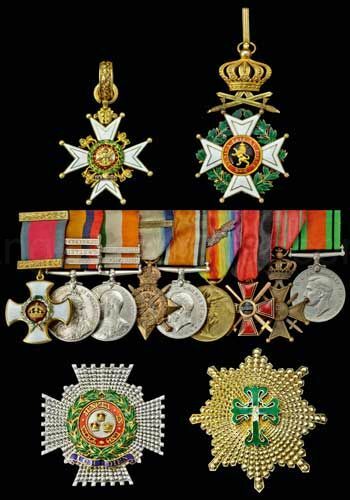 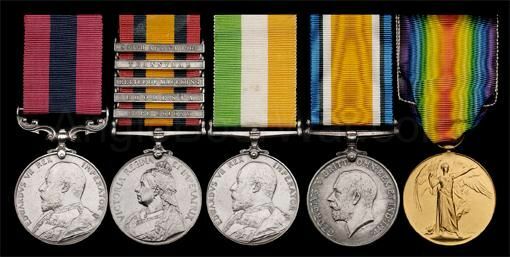 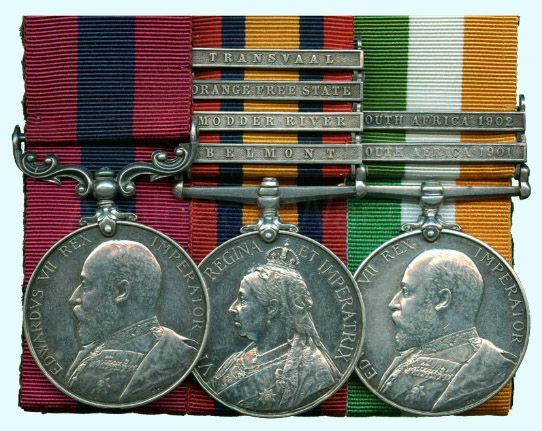 Boer War DCM Group of Eight to Sergeant Major, Later Captain, H.E. 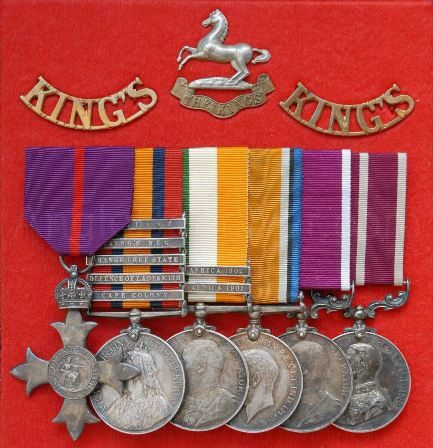 Adams, Devonshire Regiment. 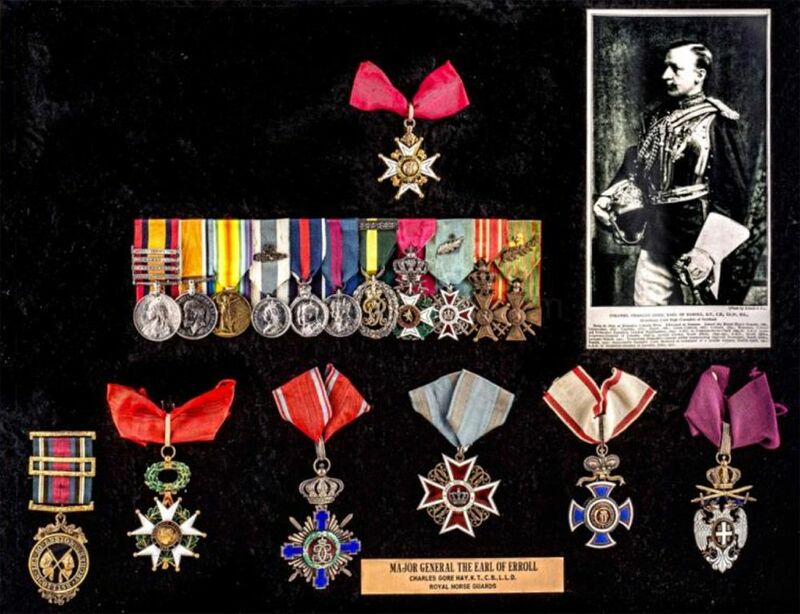 Spink July 2014. 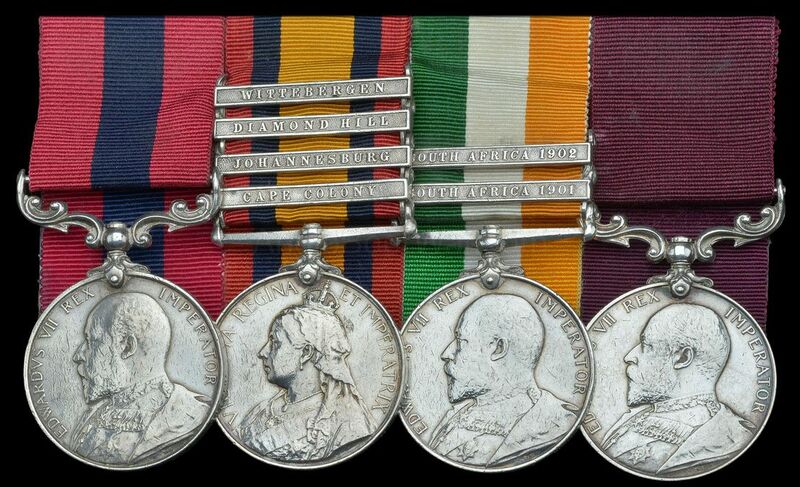 Boer War DCM group to L Cpl B Baxter, ASH. 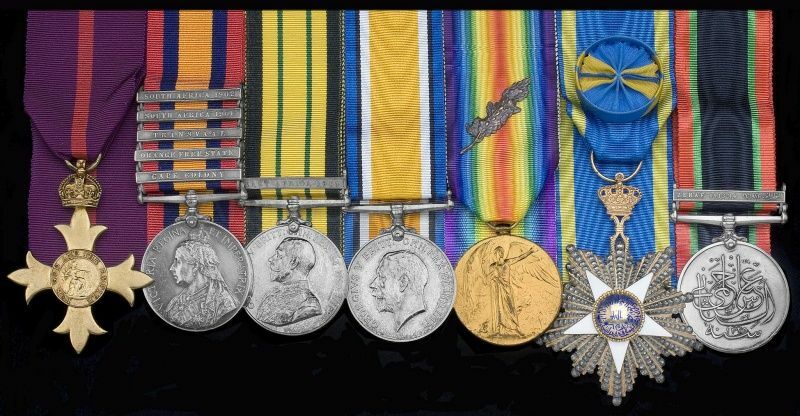 Bonhams Mar 14. 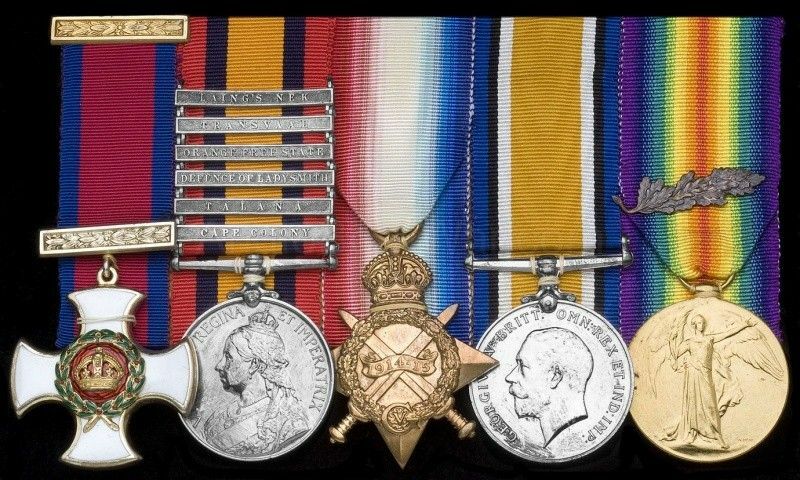 DCM to Sgt A J Clarke, Glouc Regt. 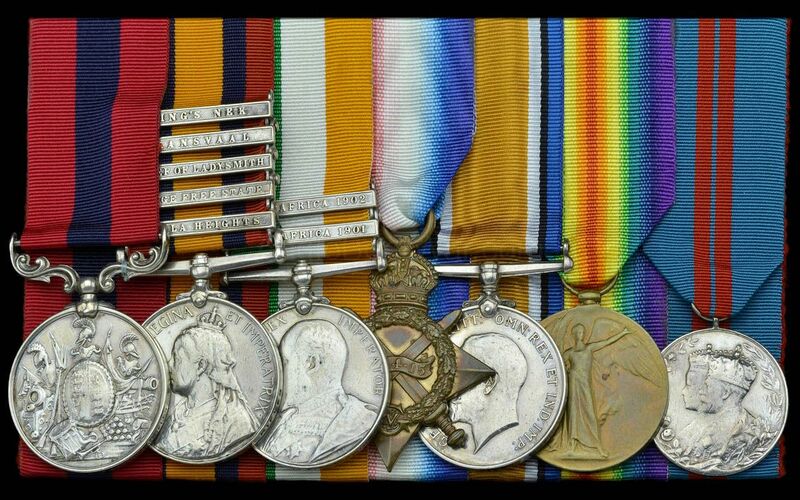 DNW Feb 16 Â£2,600. 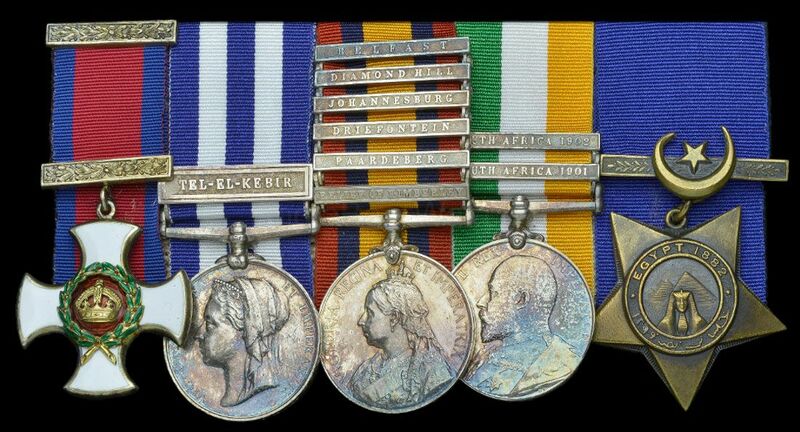 Boer War RRC and Great War bar group to Matron A S Bond, QAIMNS. 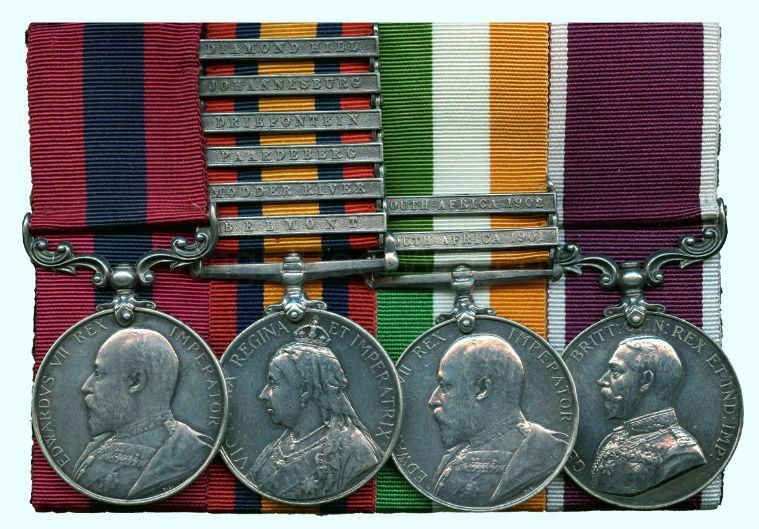 DNW Dec 06. 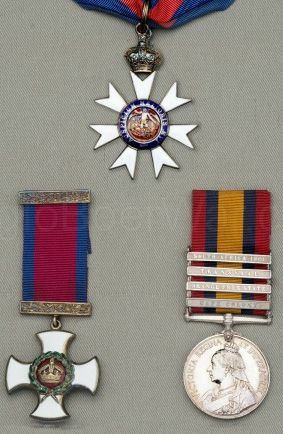 £3,800. 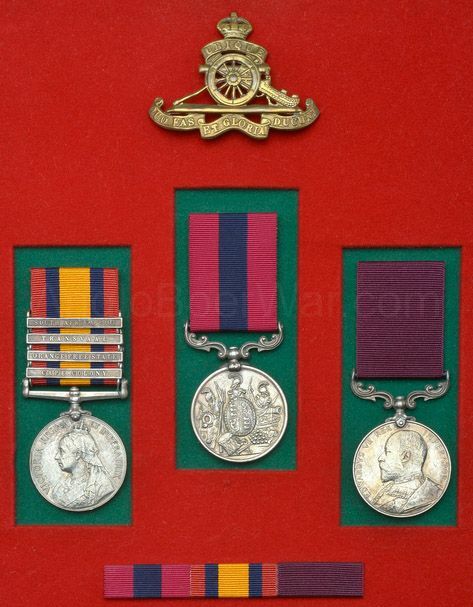 CB group to Lt Col F A B Daly who served at Talana. 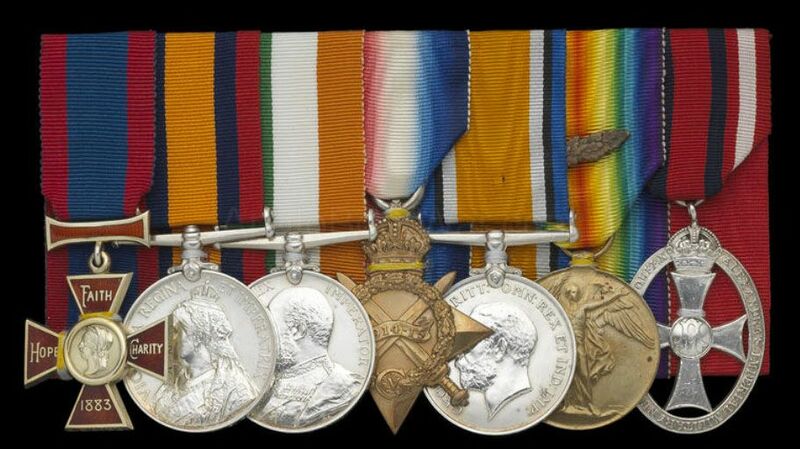 DNW Dec 06. 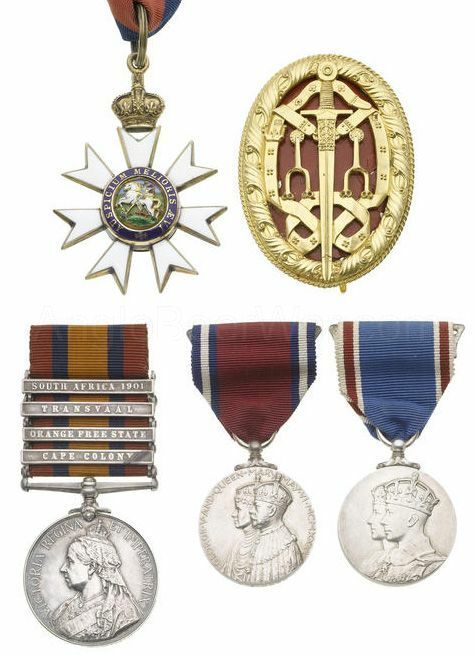 £1,800. 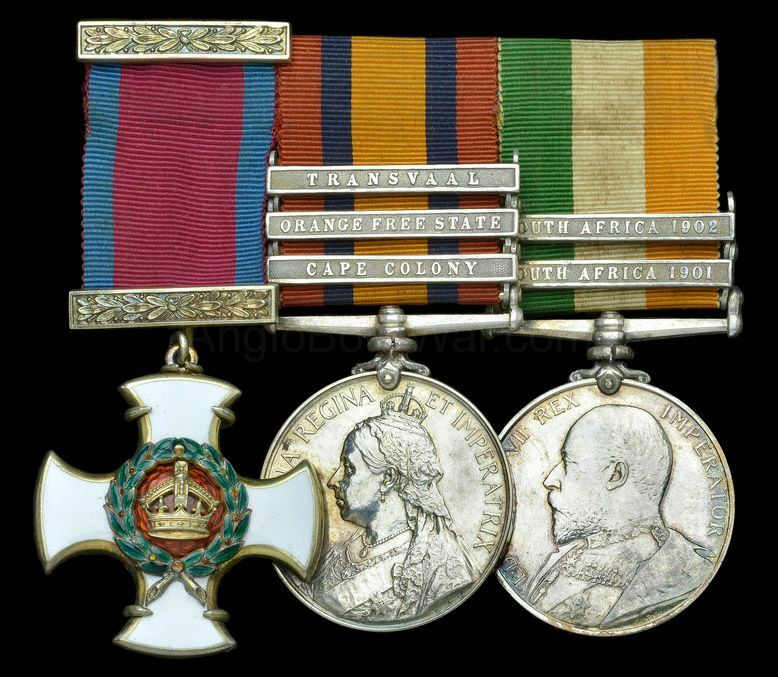 CMG, Uganda DSO group to Colonel J D Ferguson, RAMC. 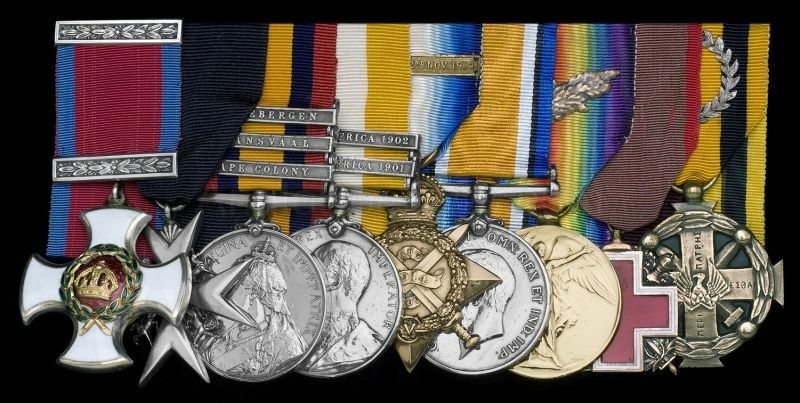 DNW Dec 06. 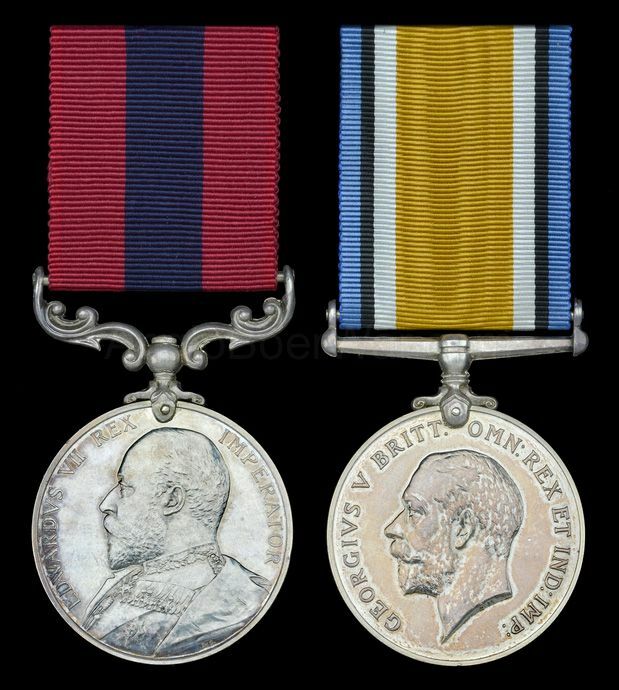 £9,800. 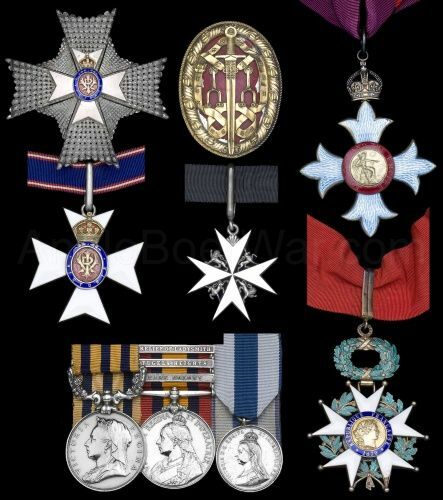 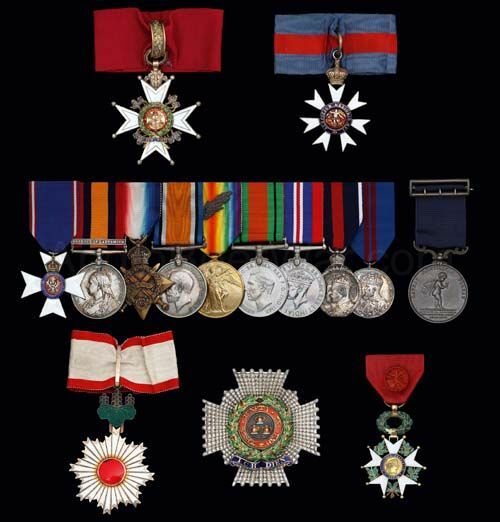 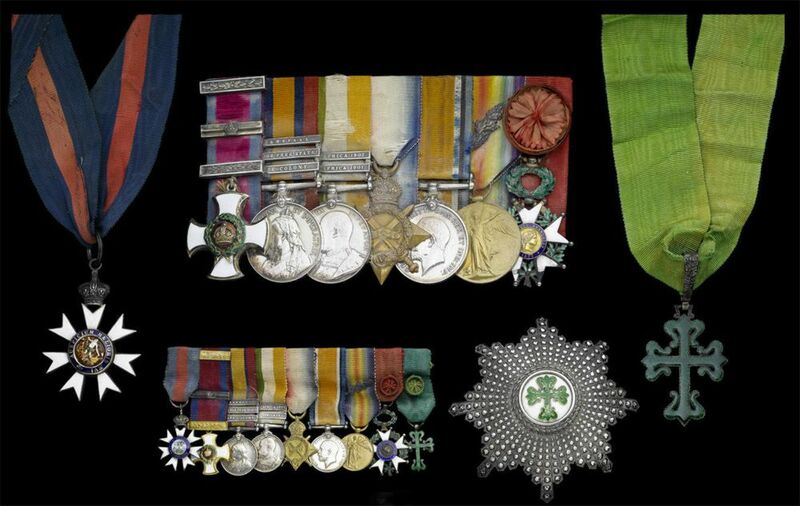 The awards to Sir W Thomson, in charge of the Irish Hospital. 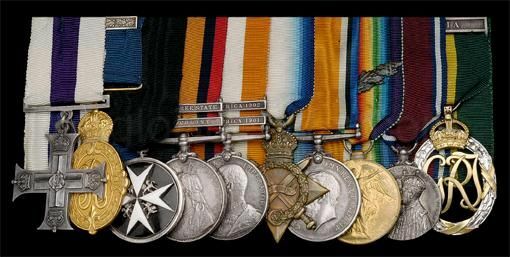 DNW Dec 06. 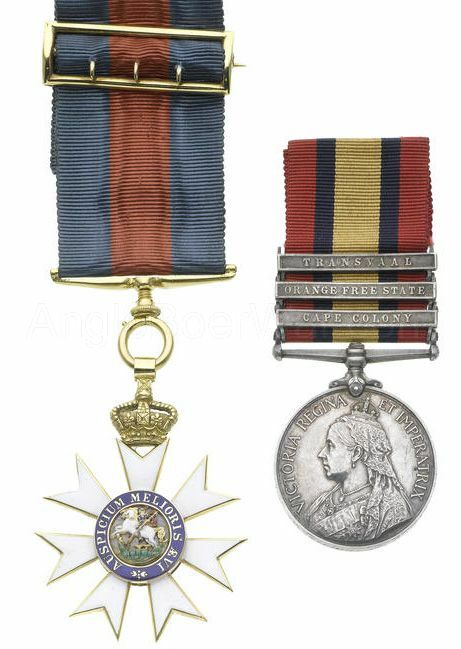 £2,700. 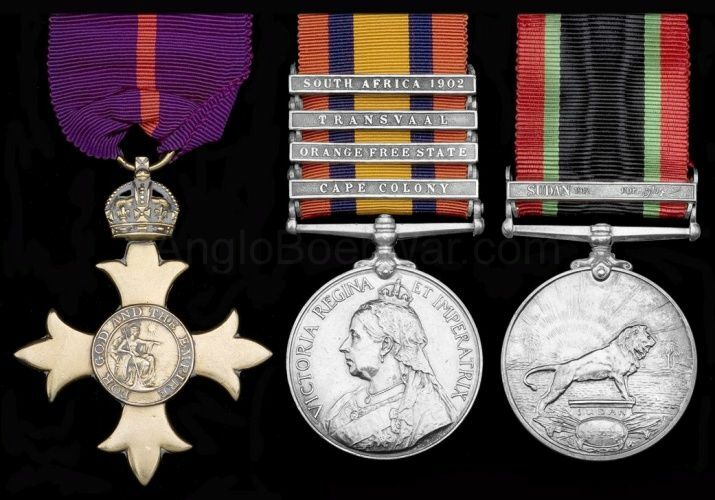 Boer War CB group to C G Hay, Earl of Erroll. 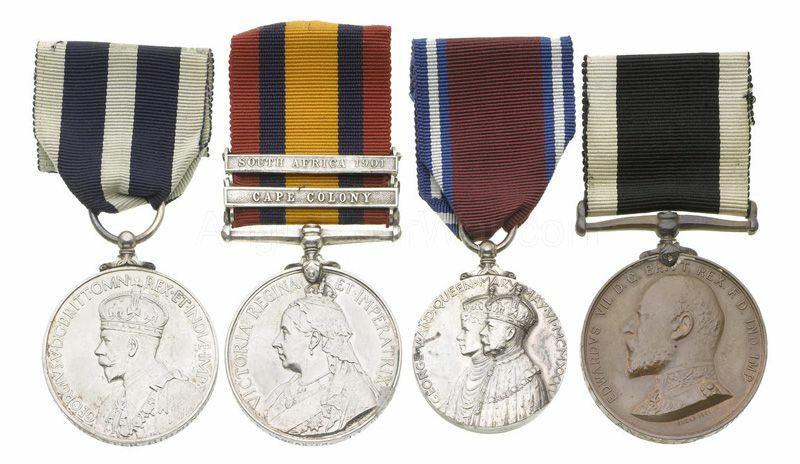 City Coins August 2014. 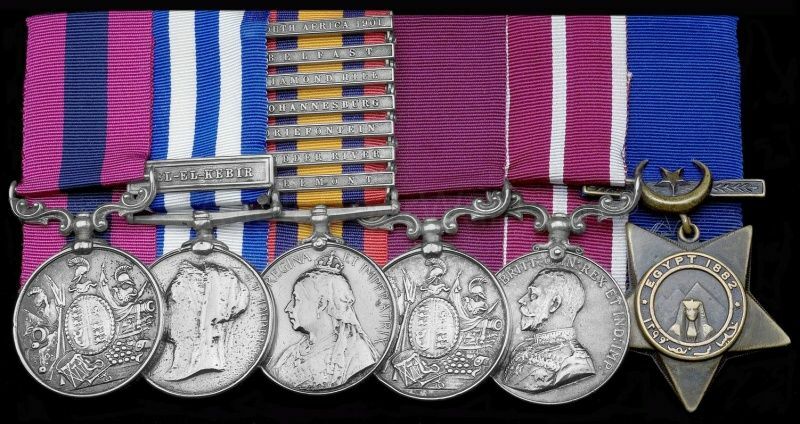 DCM group to BSMW Haynes, RFA. 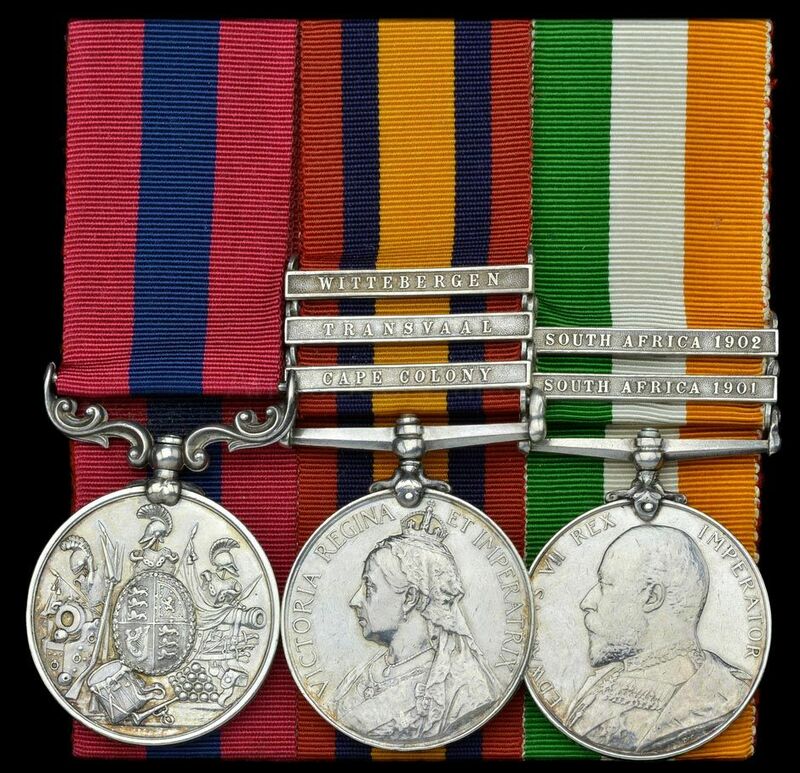 DNW Feb 16 Â£1,200. 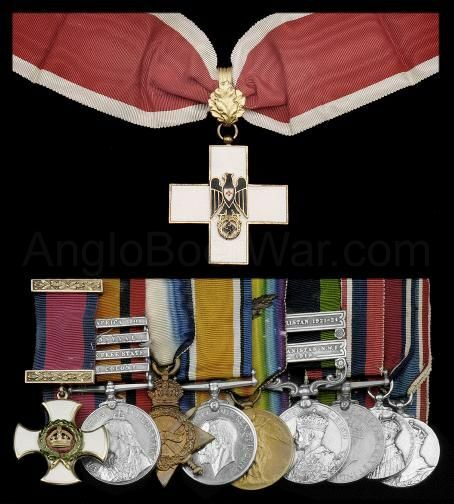 London Blitz George Medal group to Lt Cdr T A Herriott, RN. 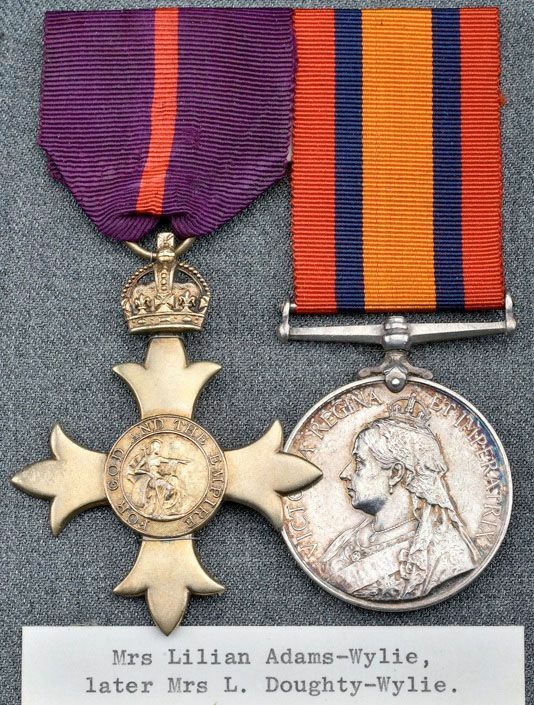 Morton and Eden, July 2017. 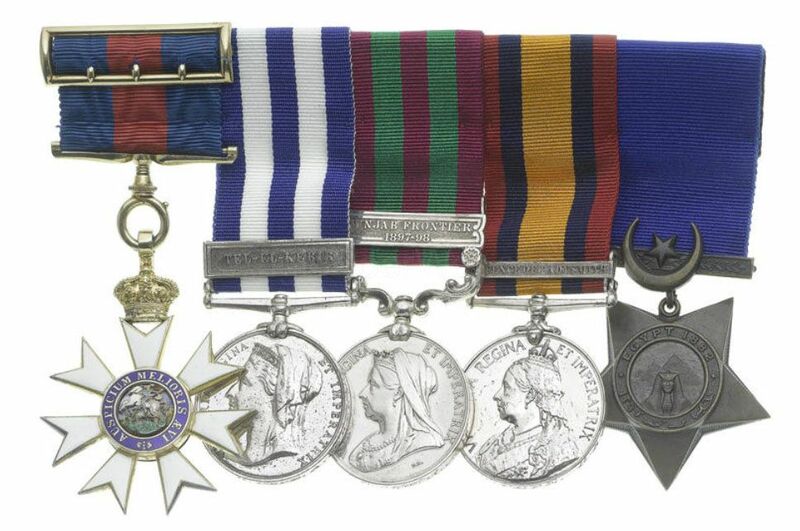 DCM, MM* group to WO J Home, Dorset Regt. 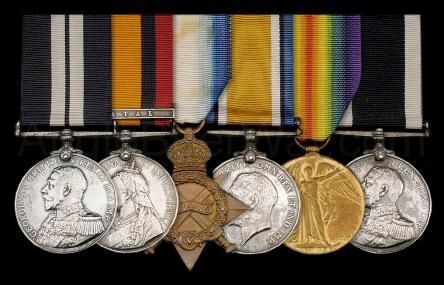 DNW May 2017. 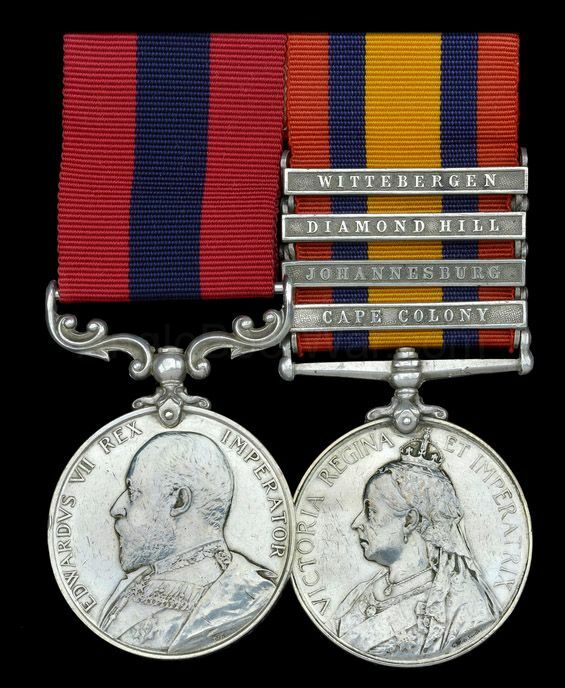 Boer War DCM to Pte G Horner, Bedfordshire Regiment. 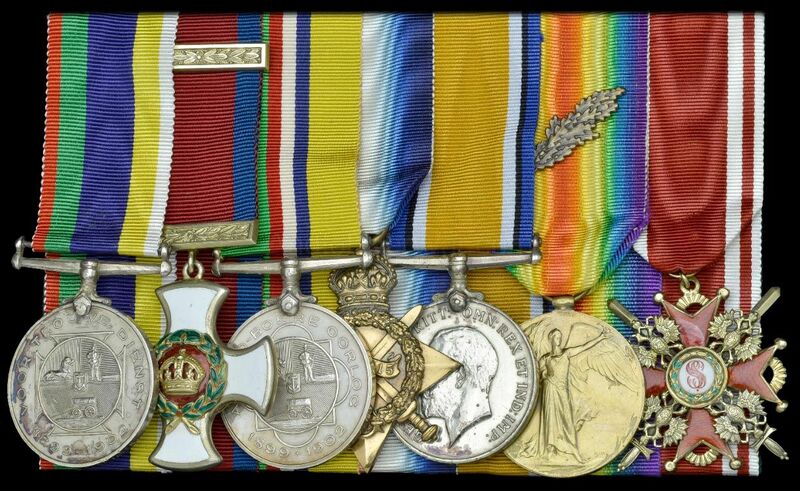 Bonhams Mar 14. 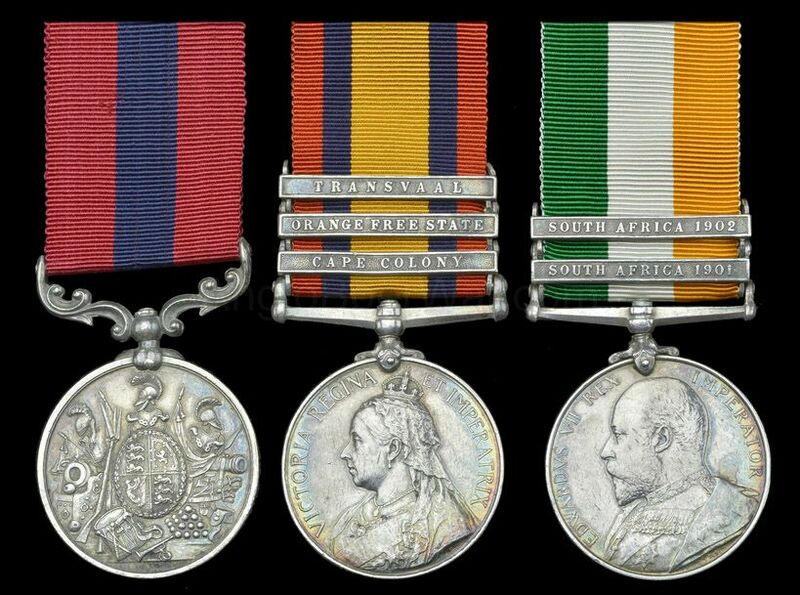 Boer War DSO to Col F B Lecky, RHA. 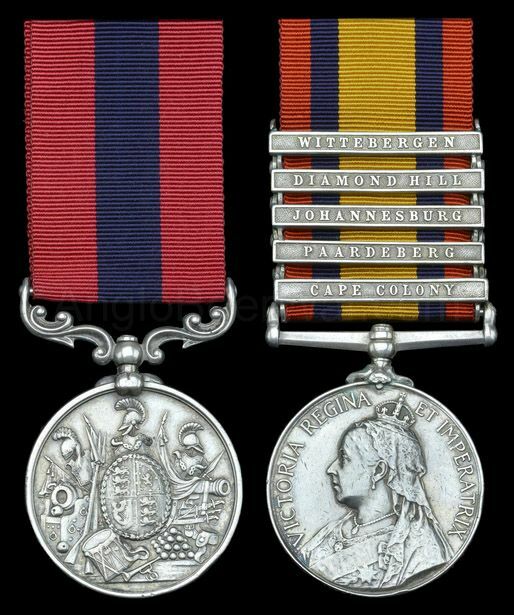 DNW September 2017.